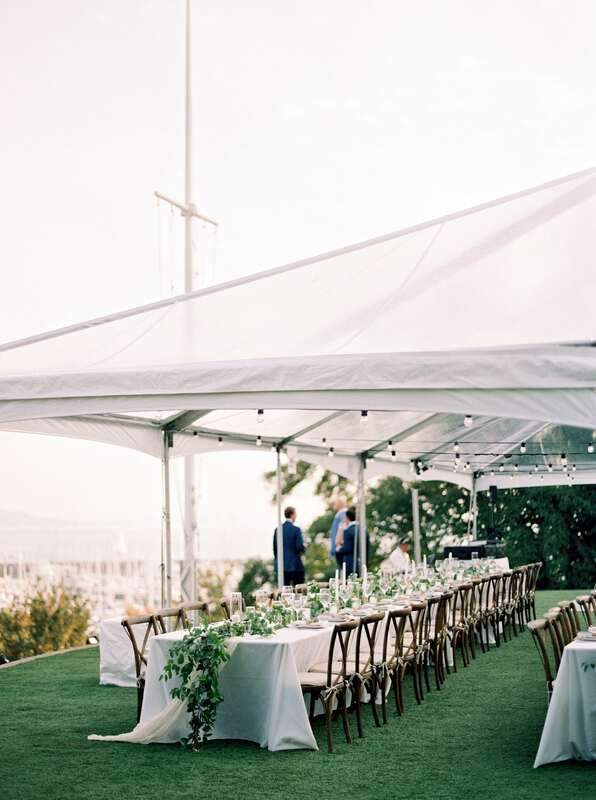 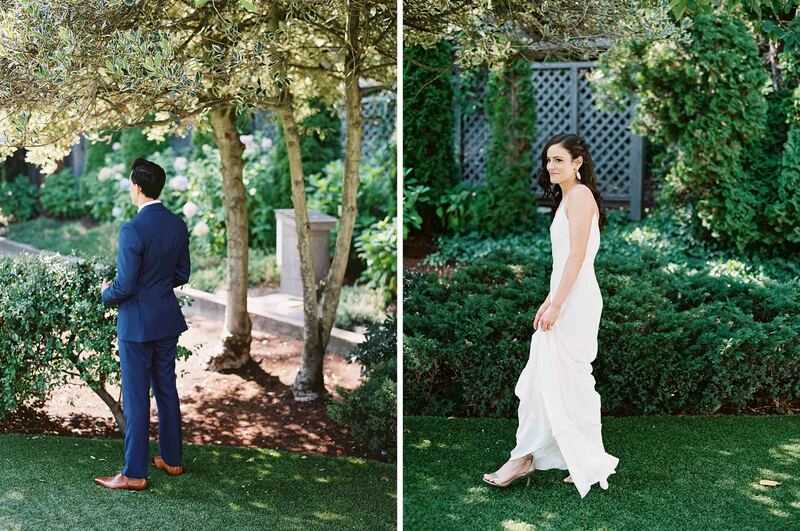 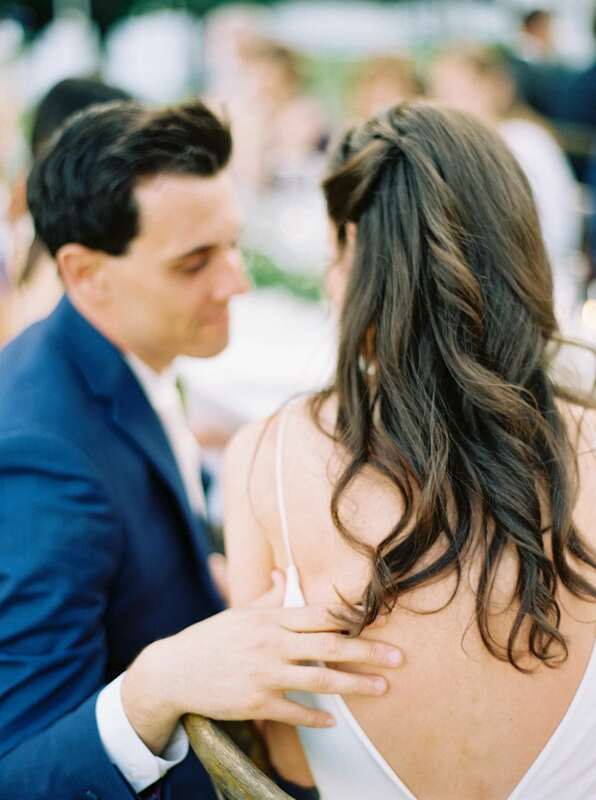 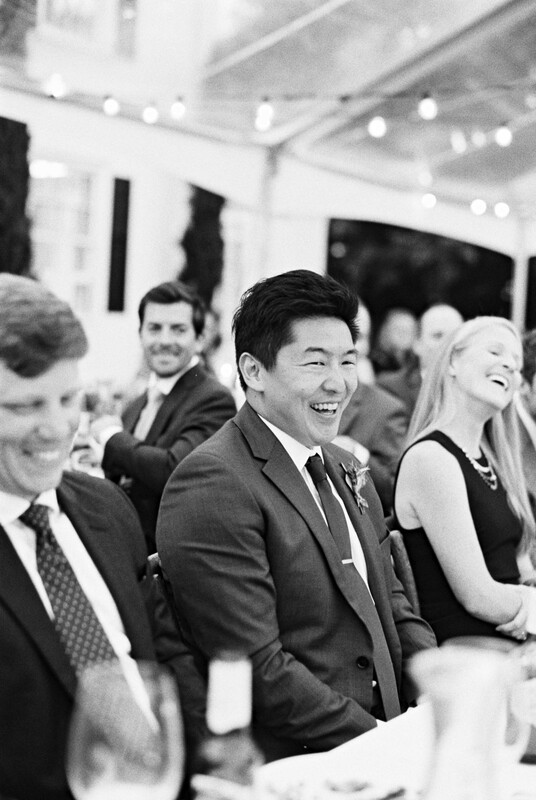 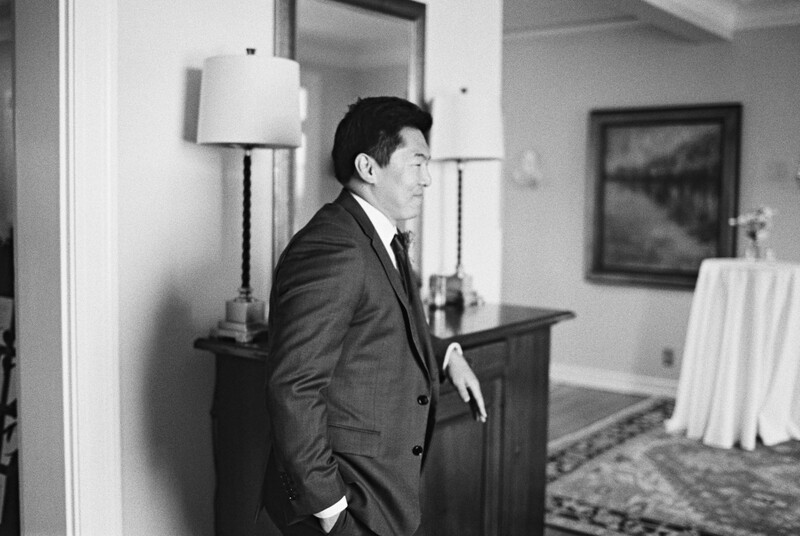 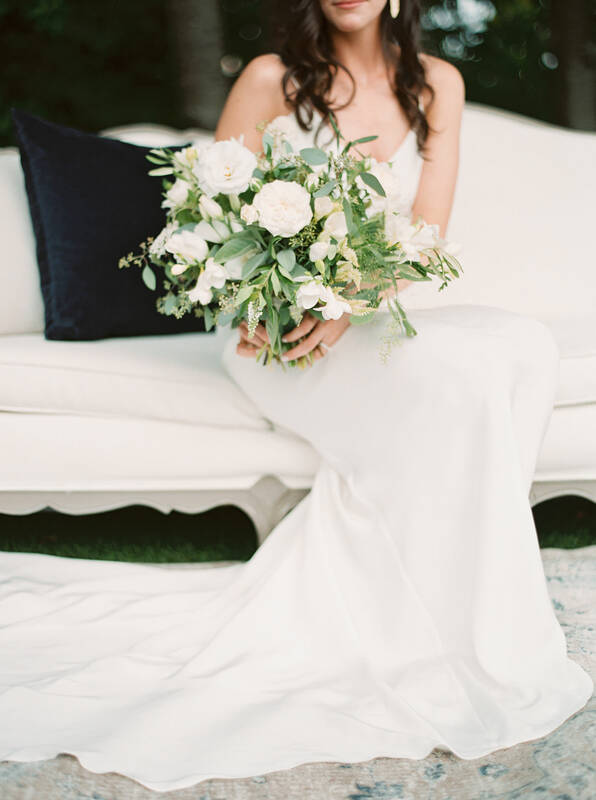 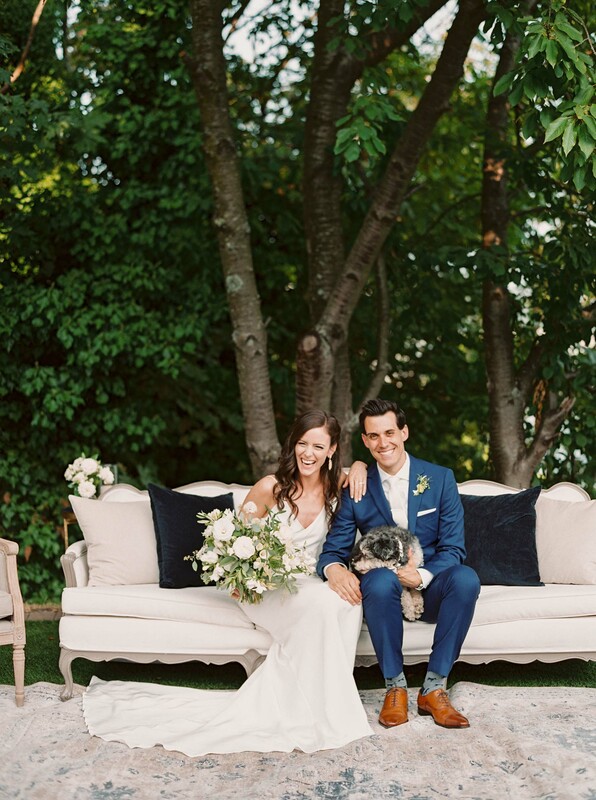 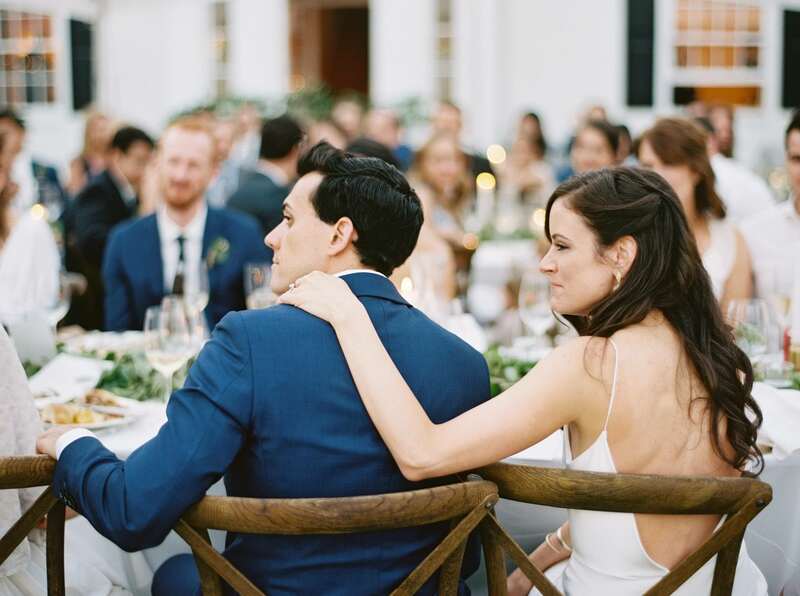 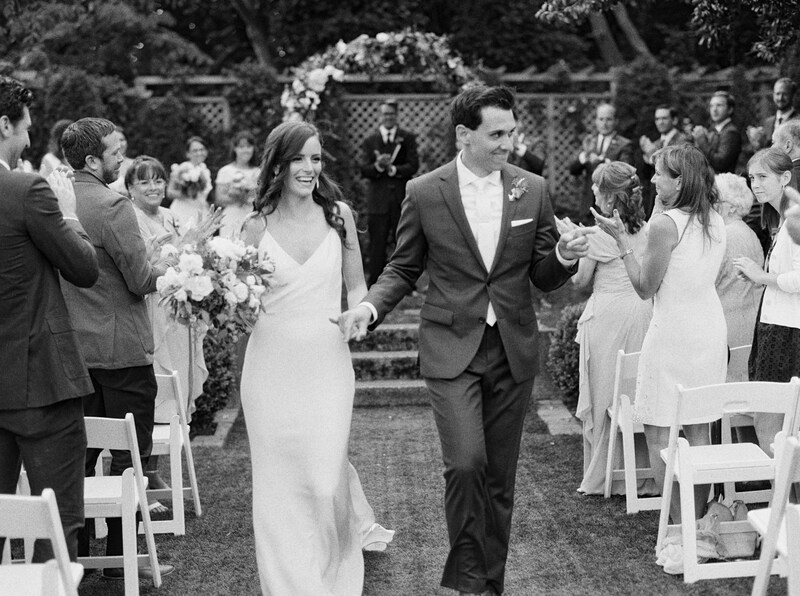 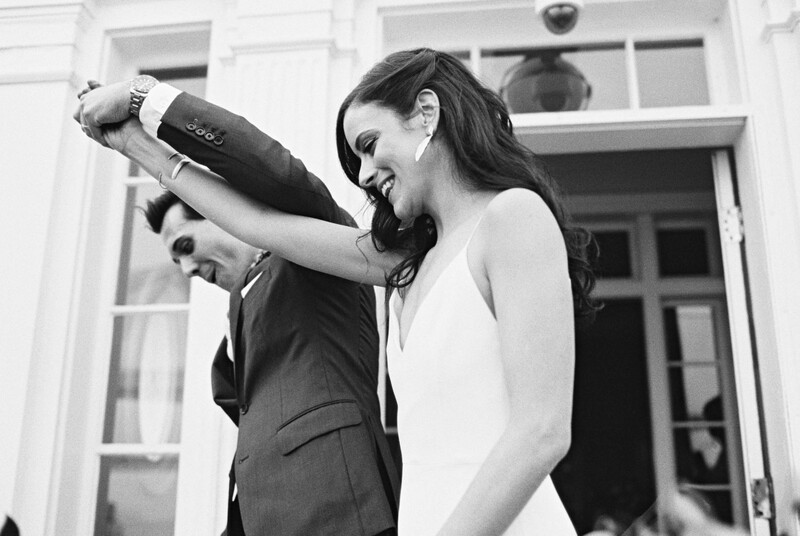 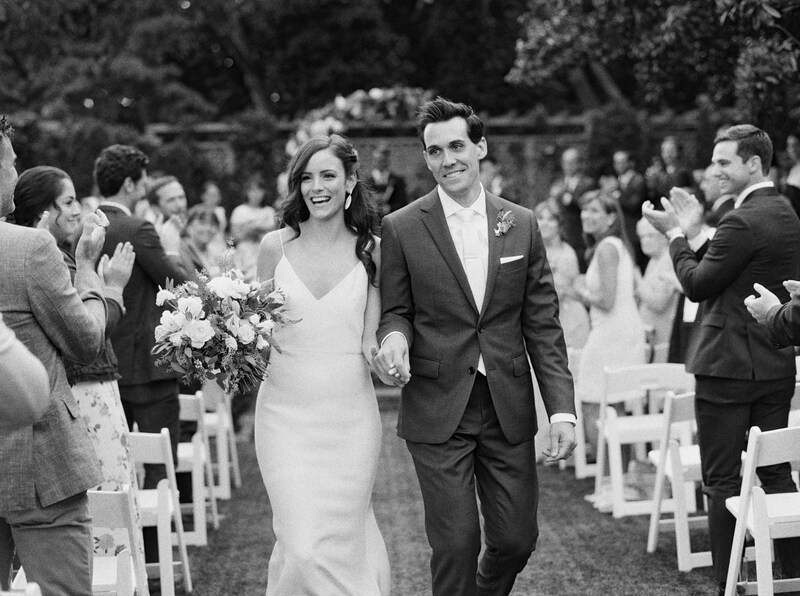 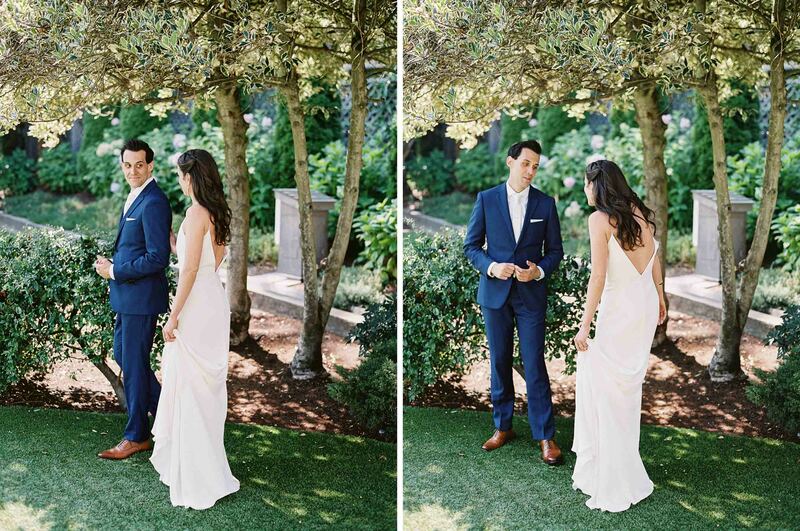 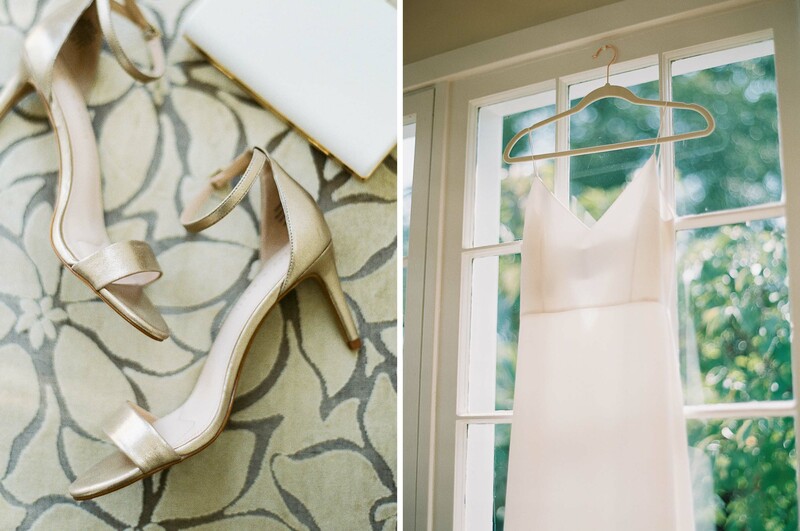 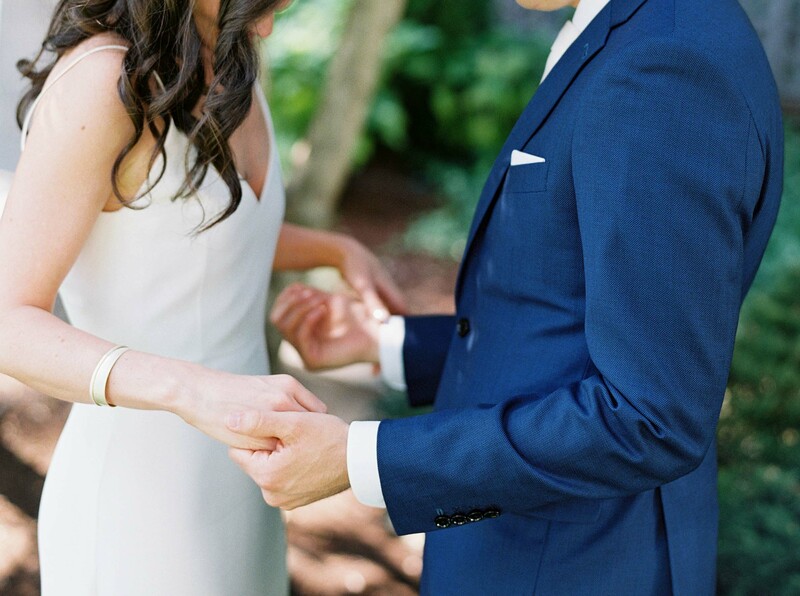 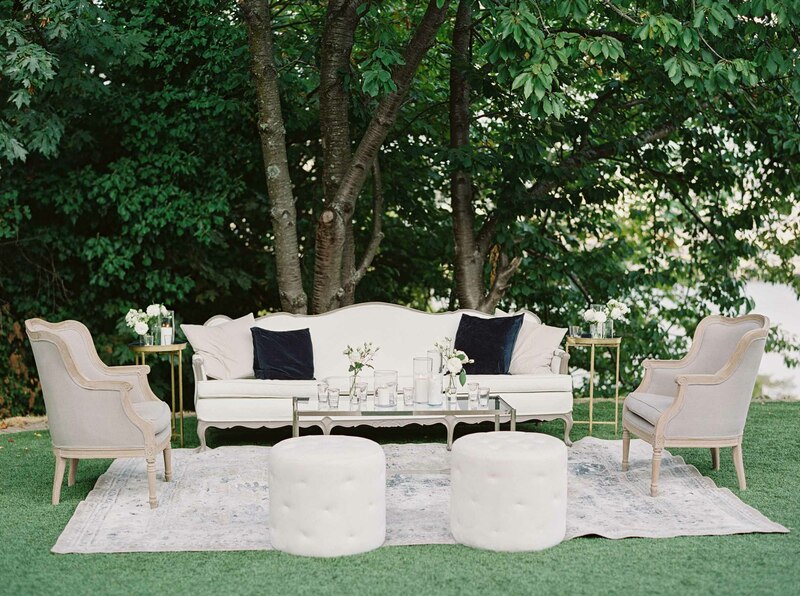 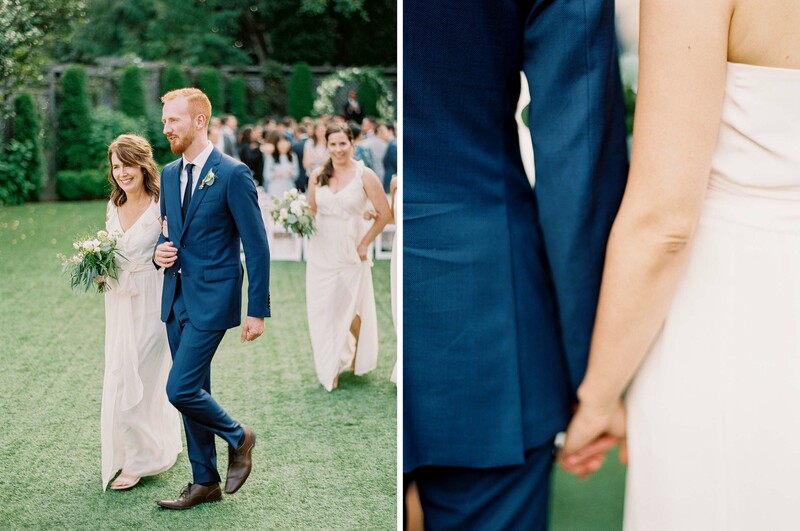 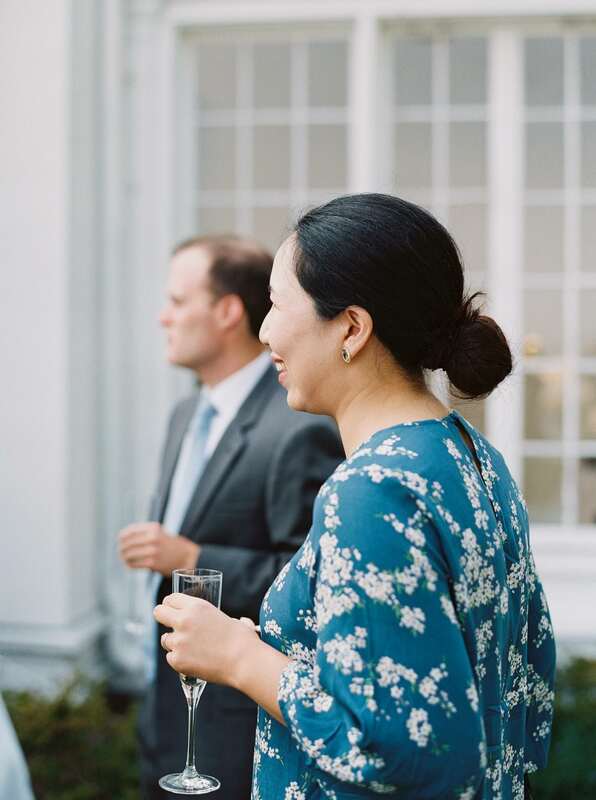 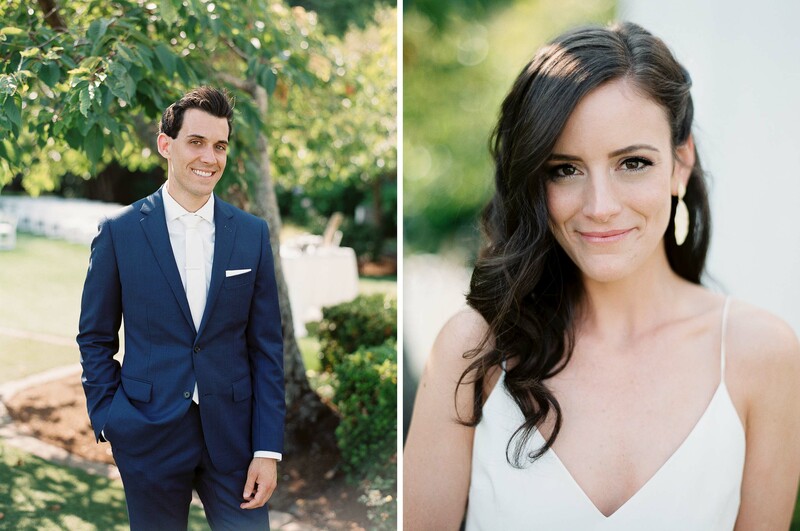 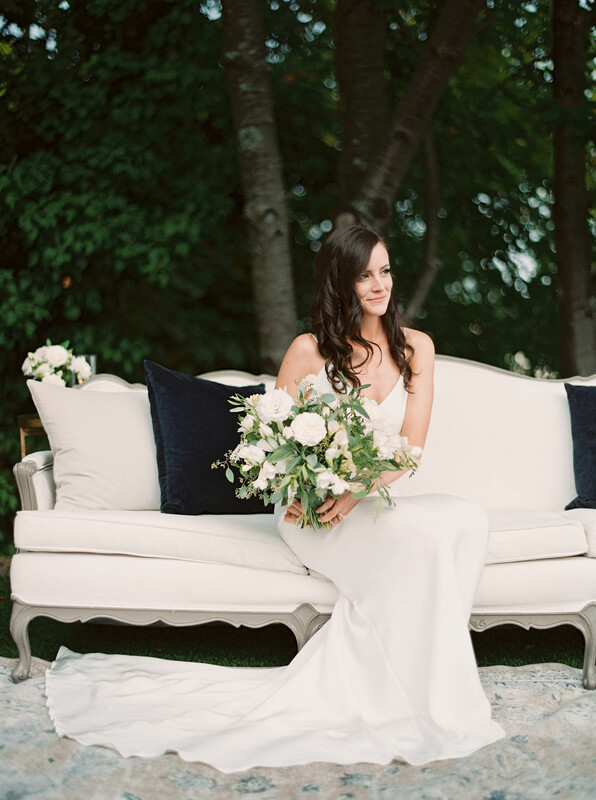 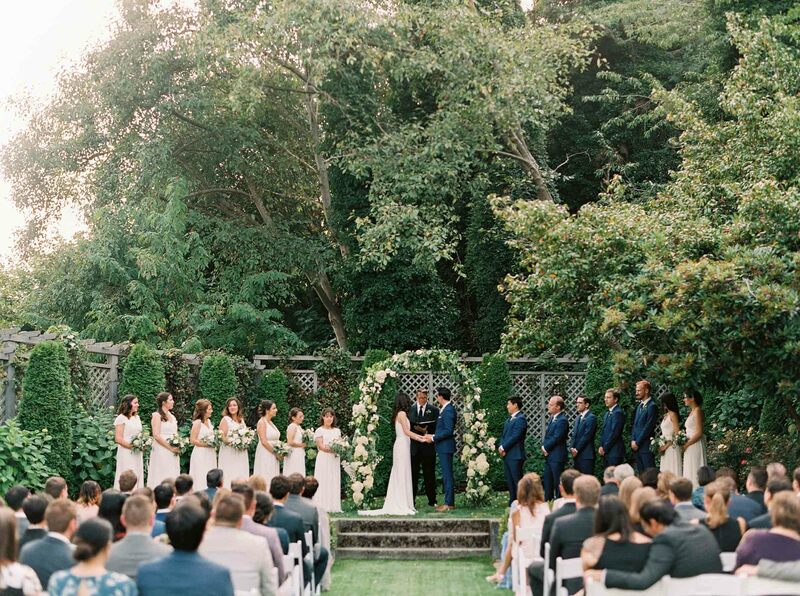 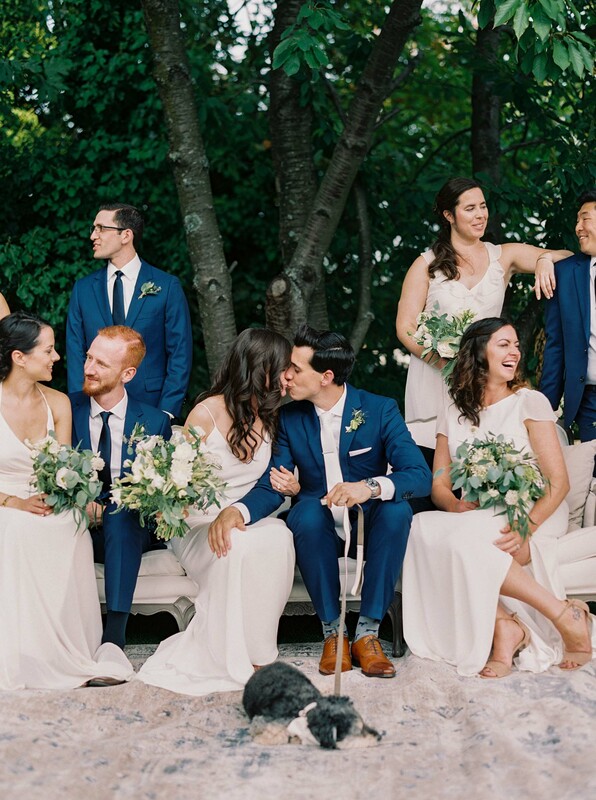 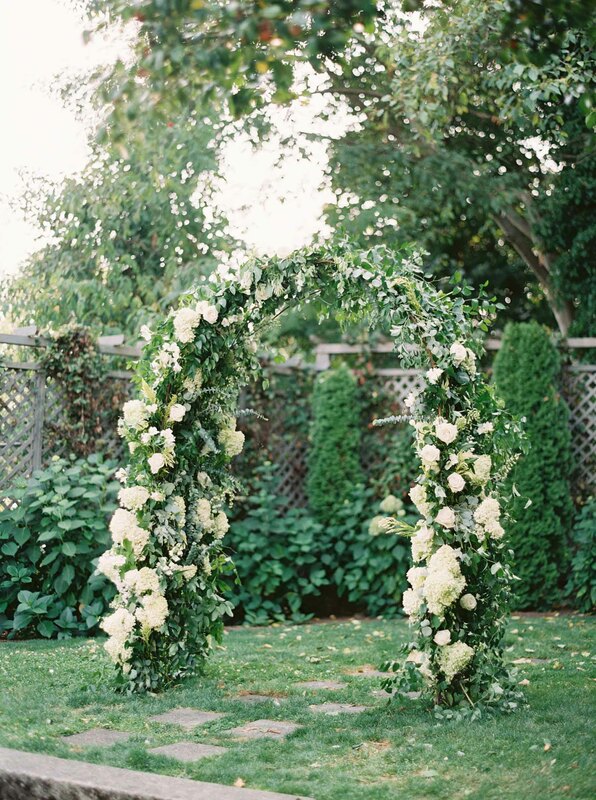 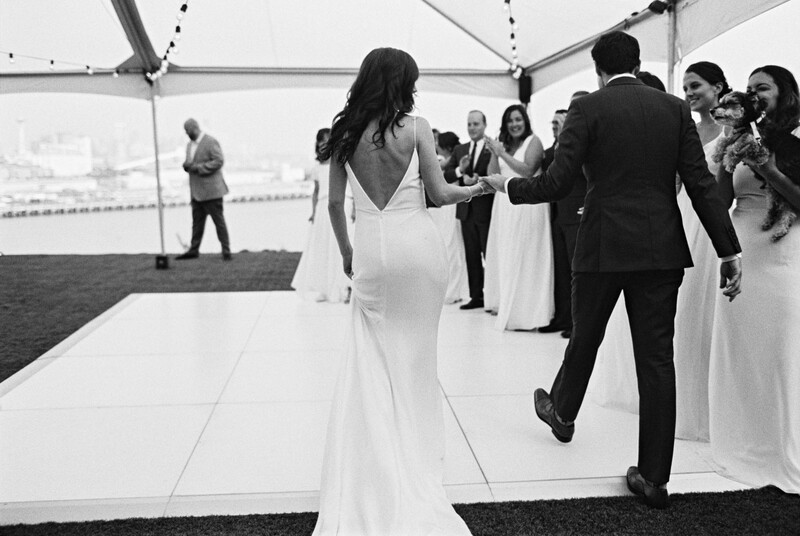 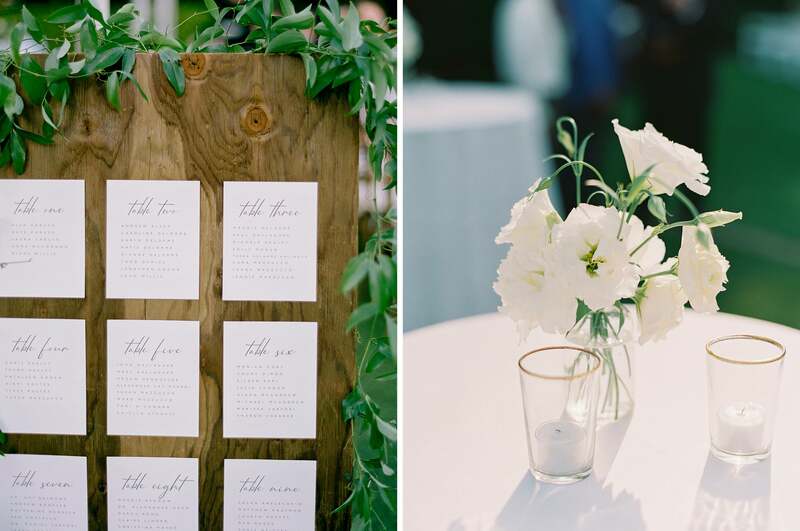 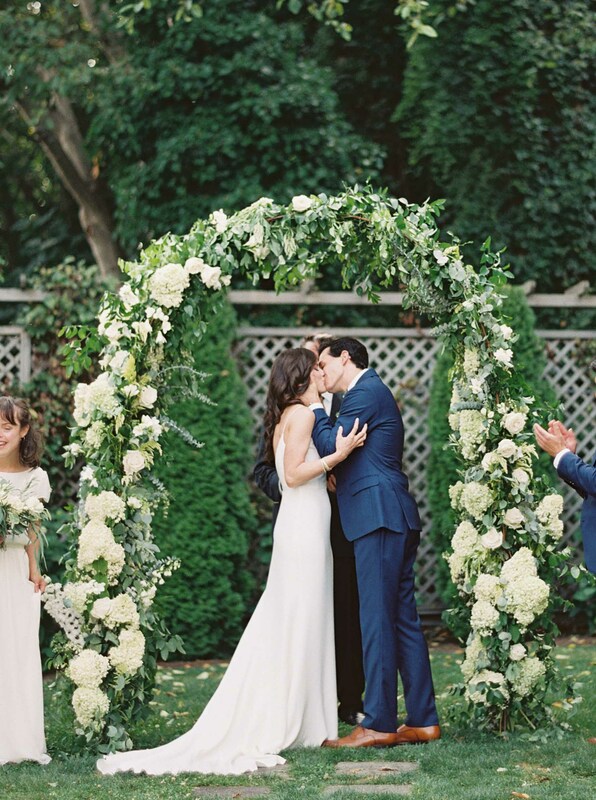 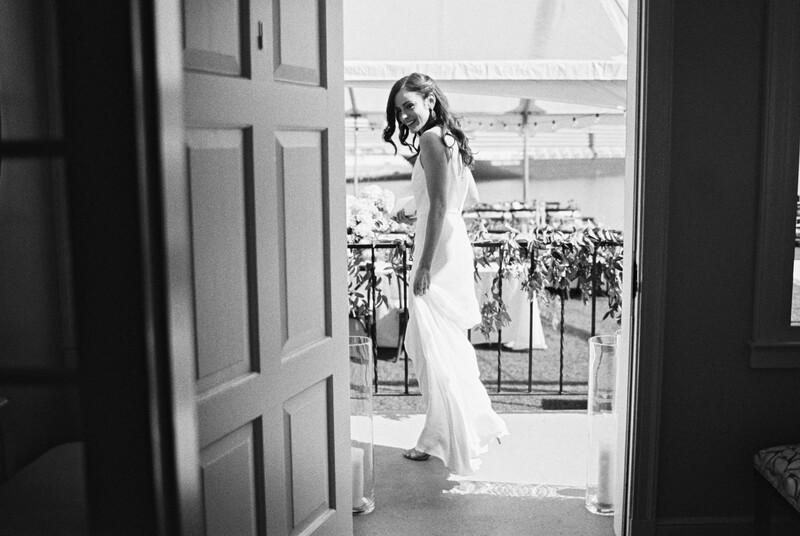 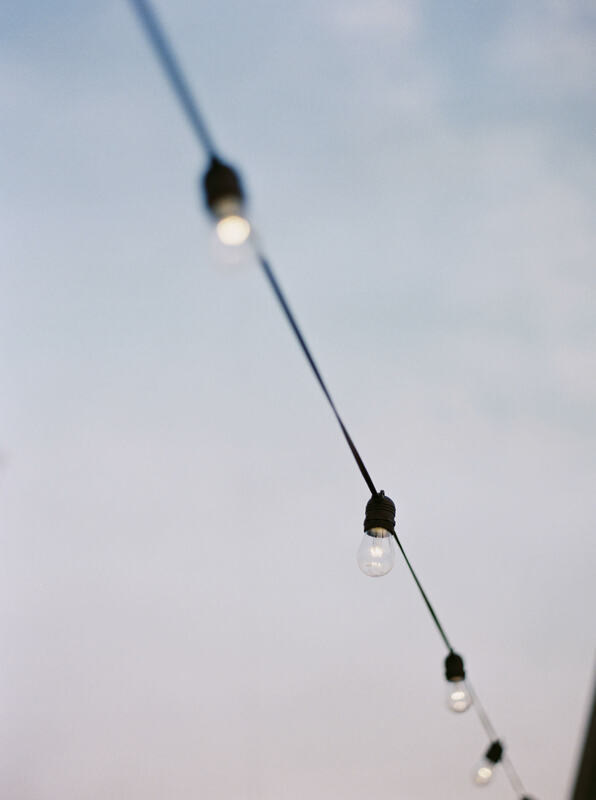 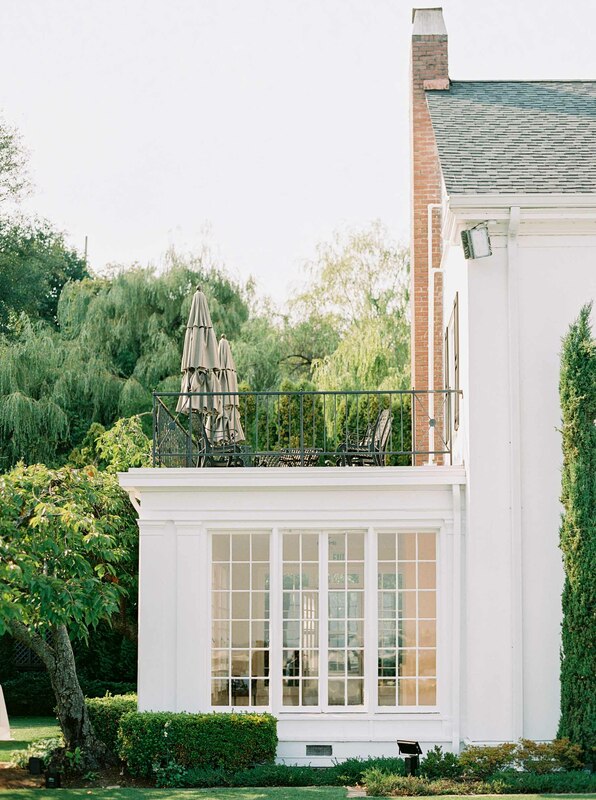 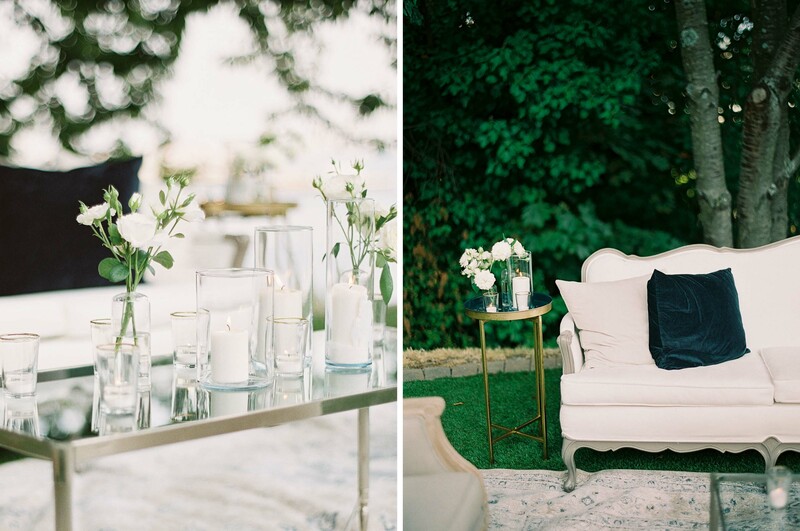 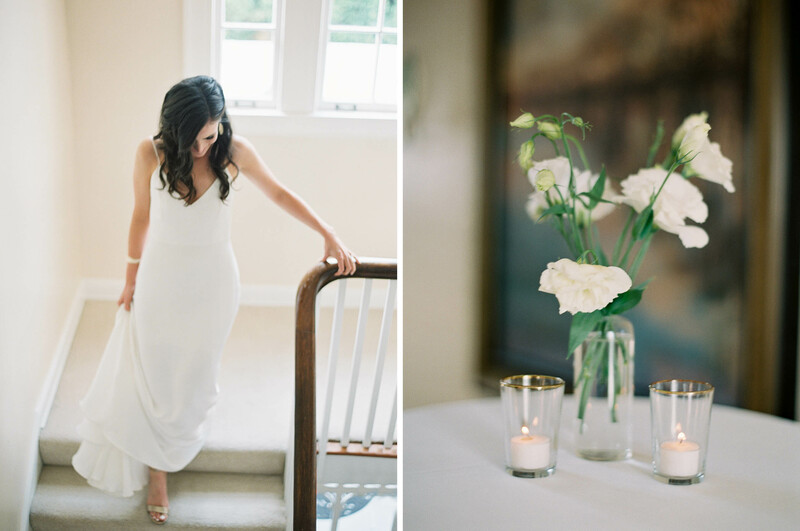 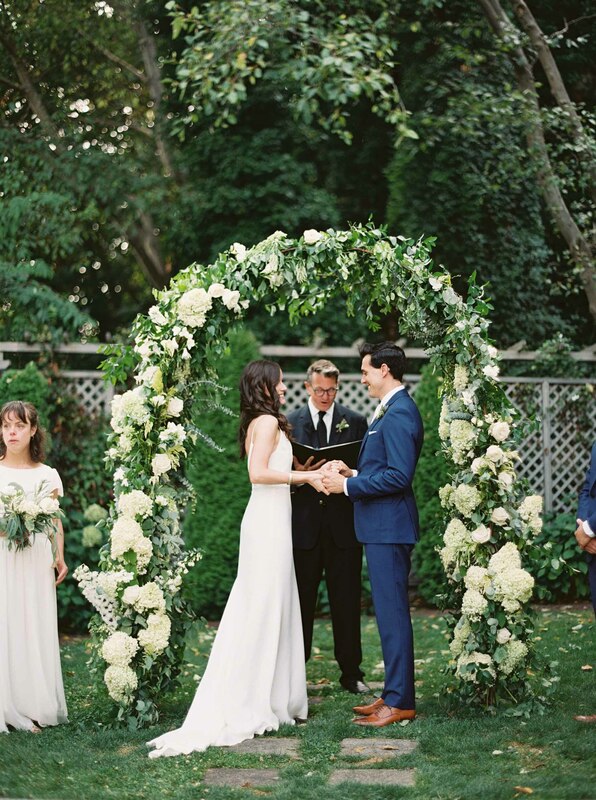 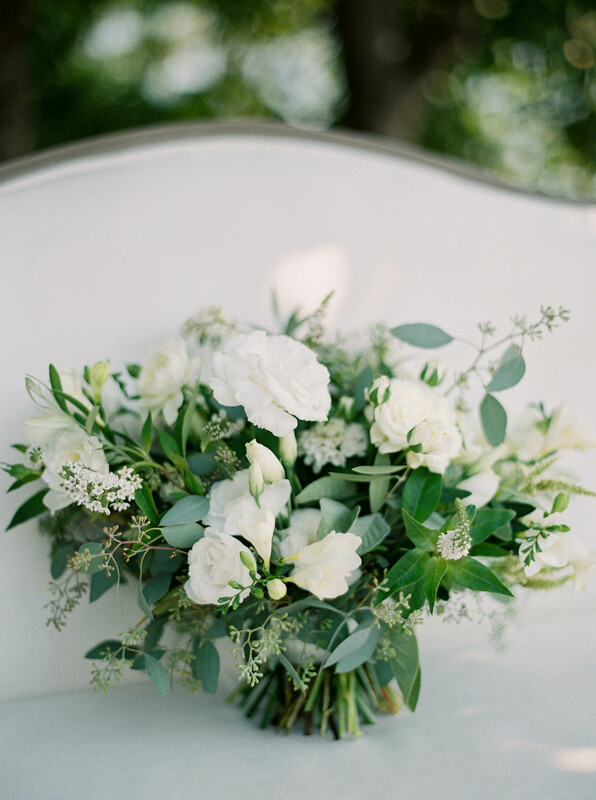 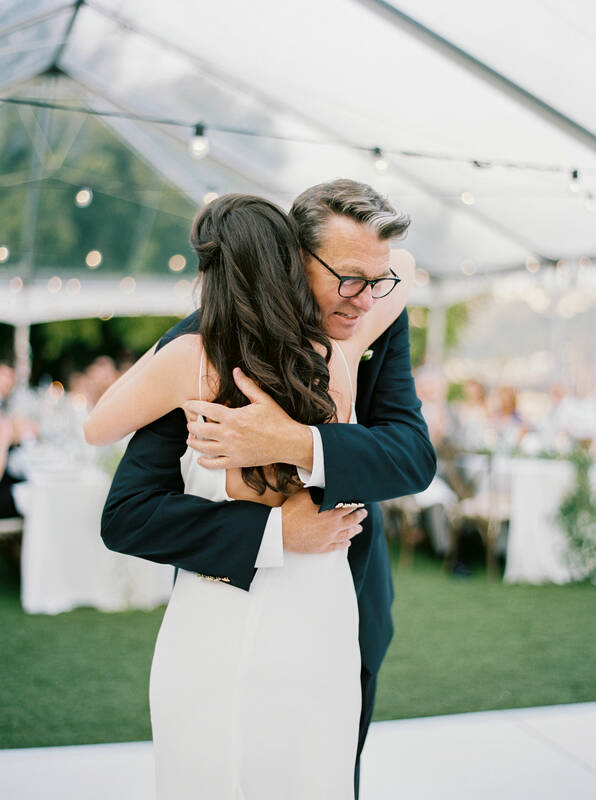 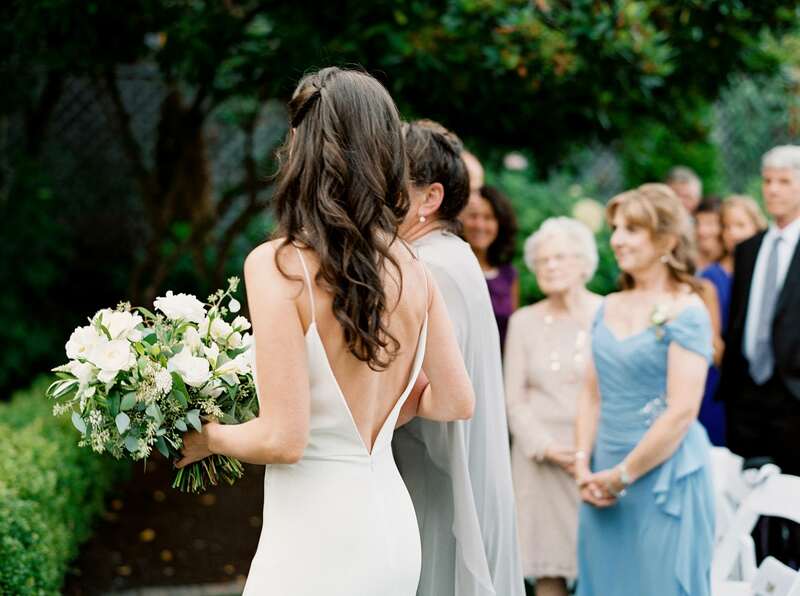 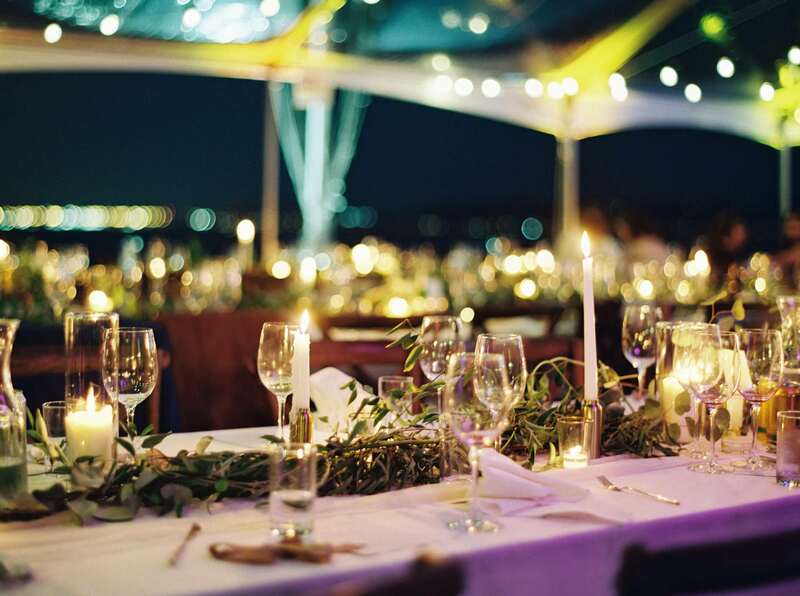 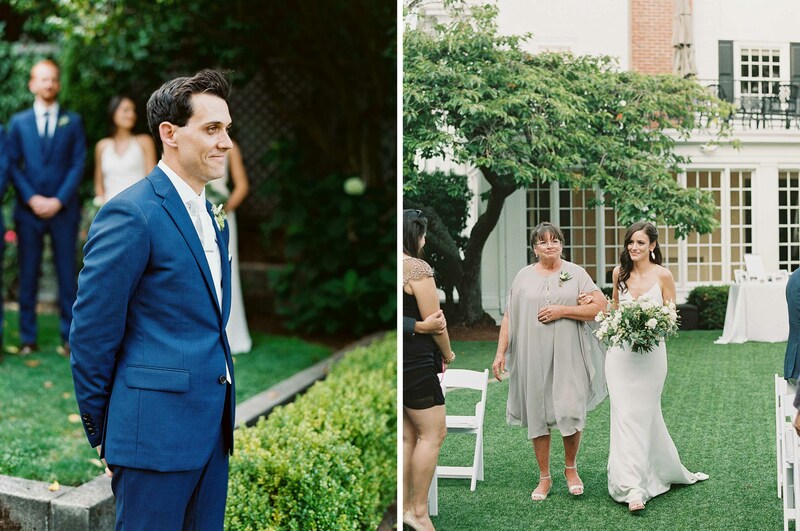 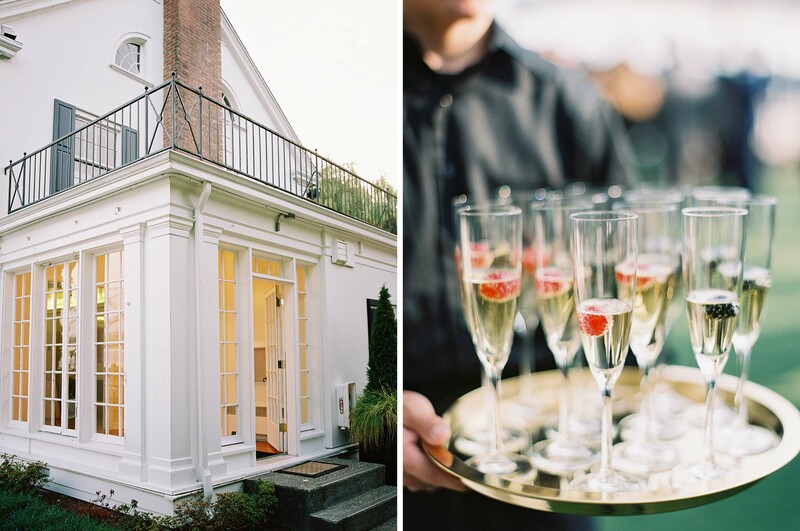 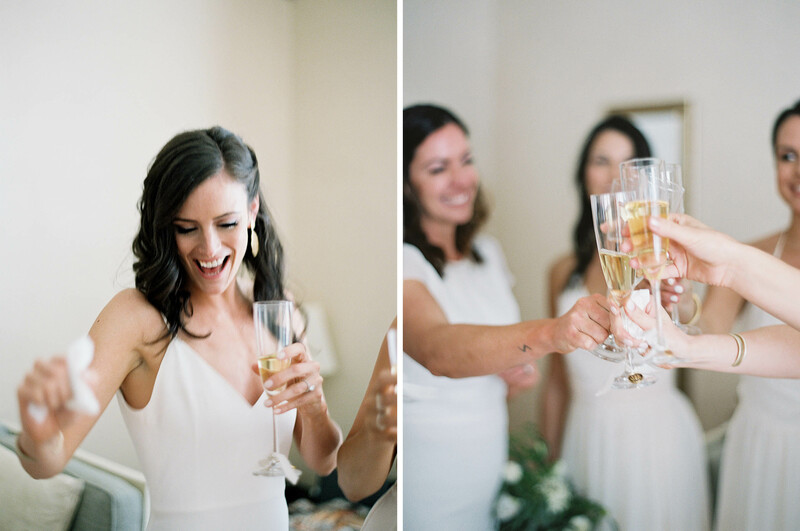 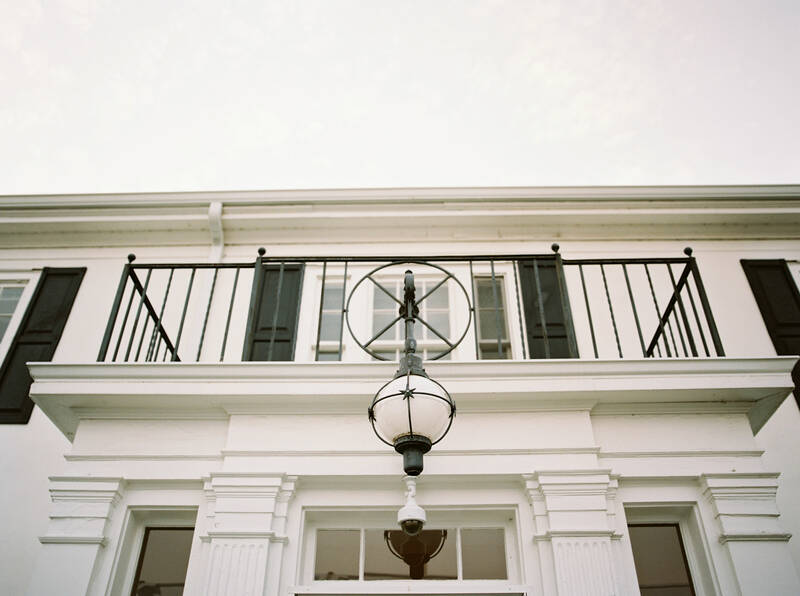 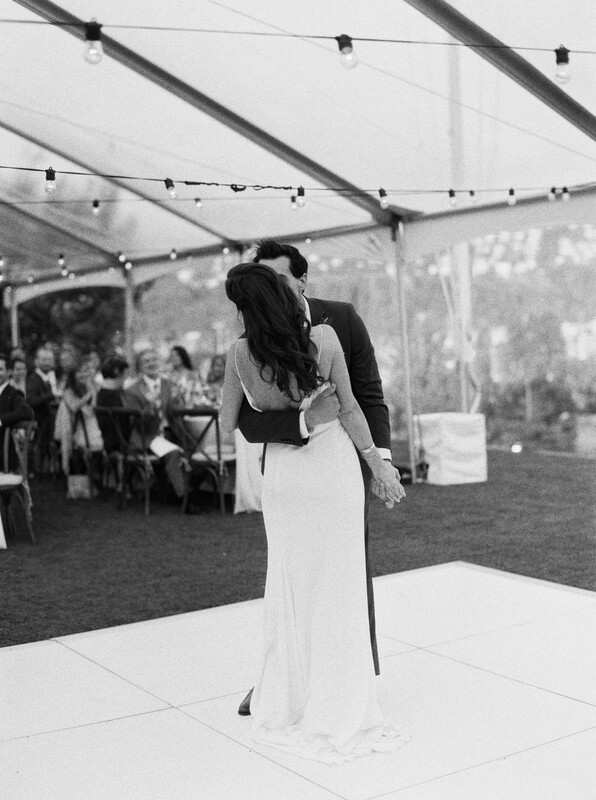 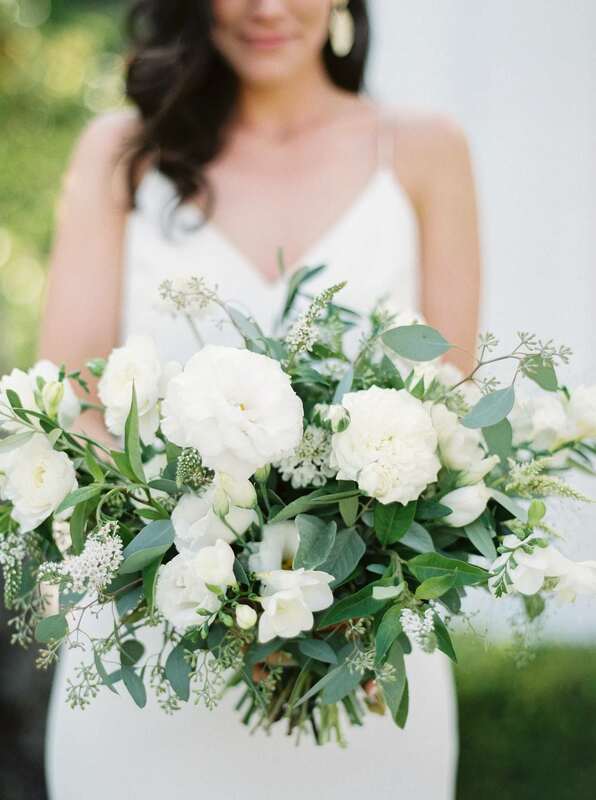 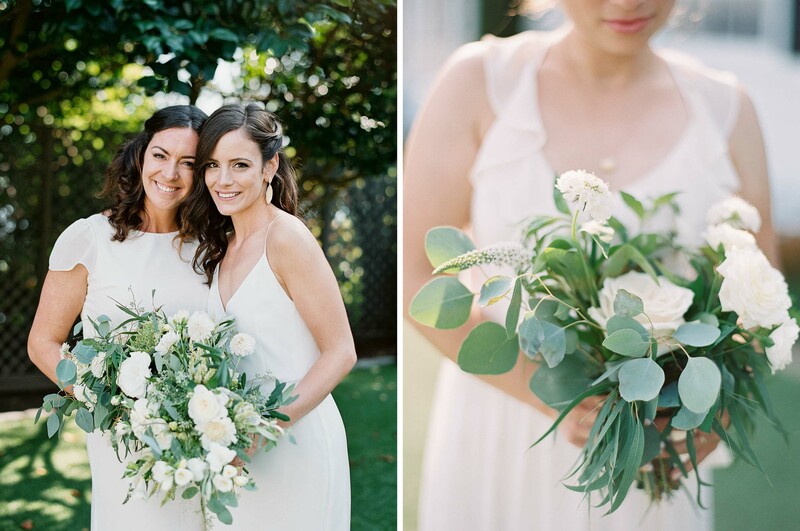 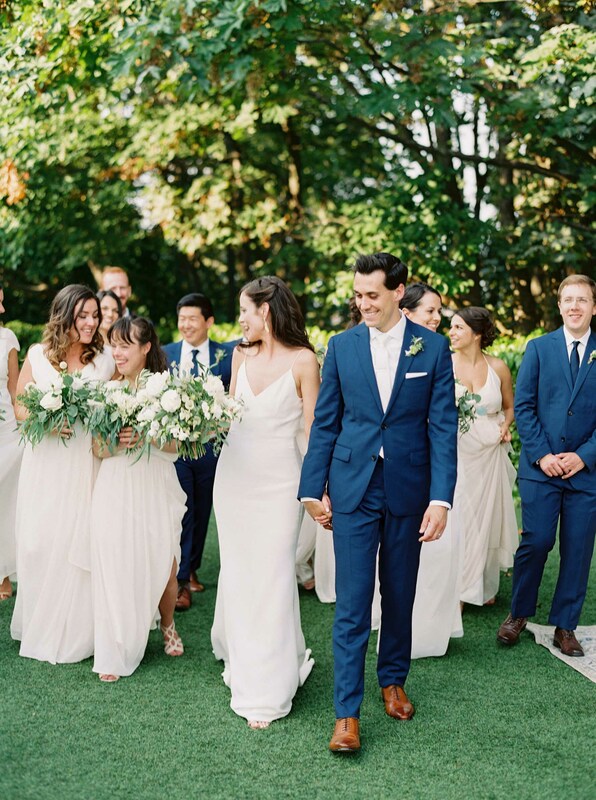 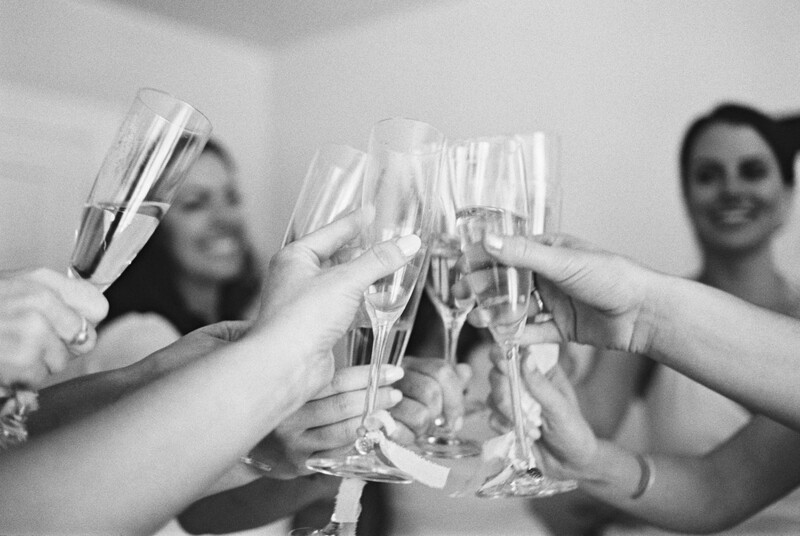 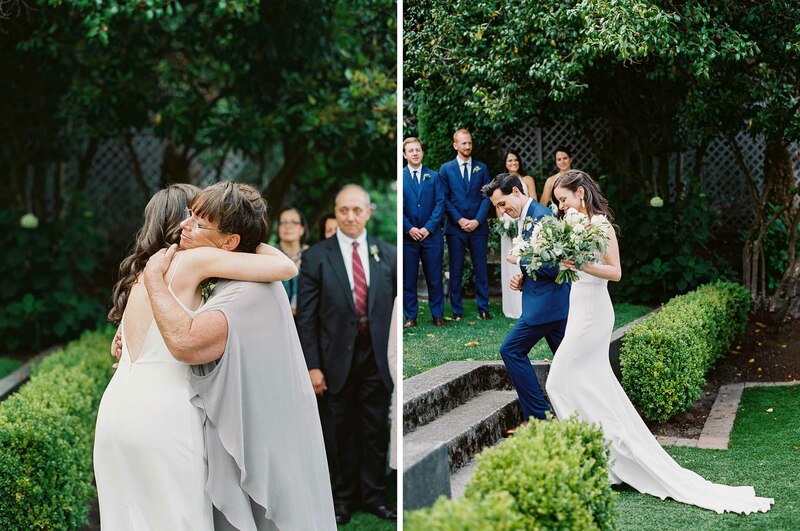 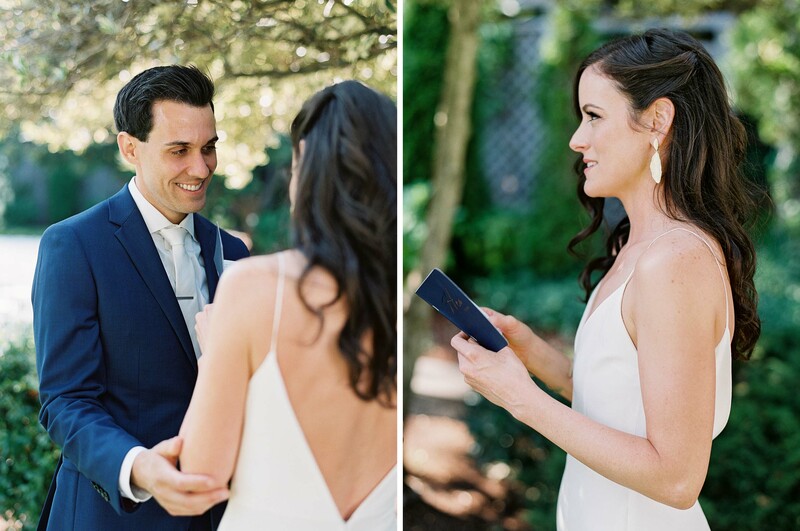 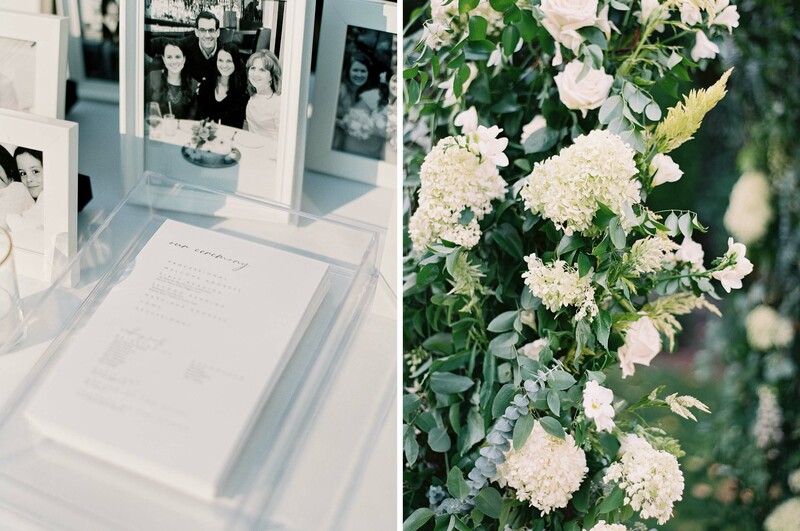 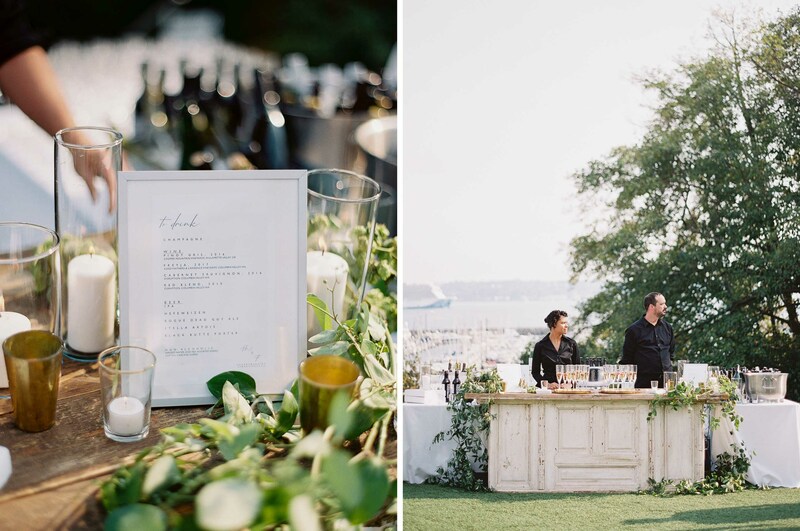 An elegant, effortless waterfront celebration at The Admiral’s House for Frank and Maggie, as featured on Seattle Bride. 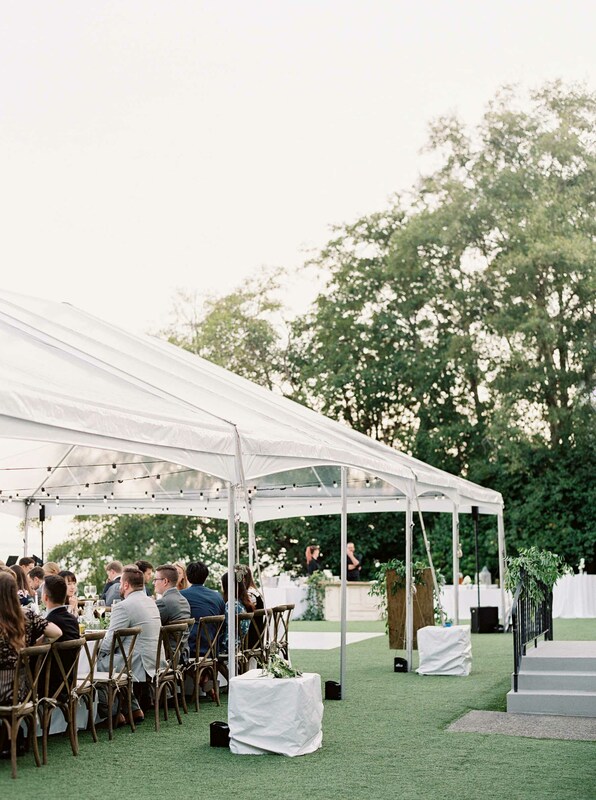 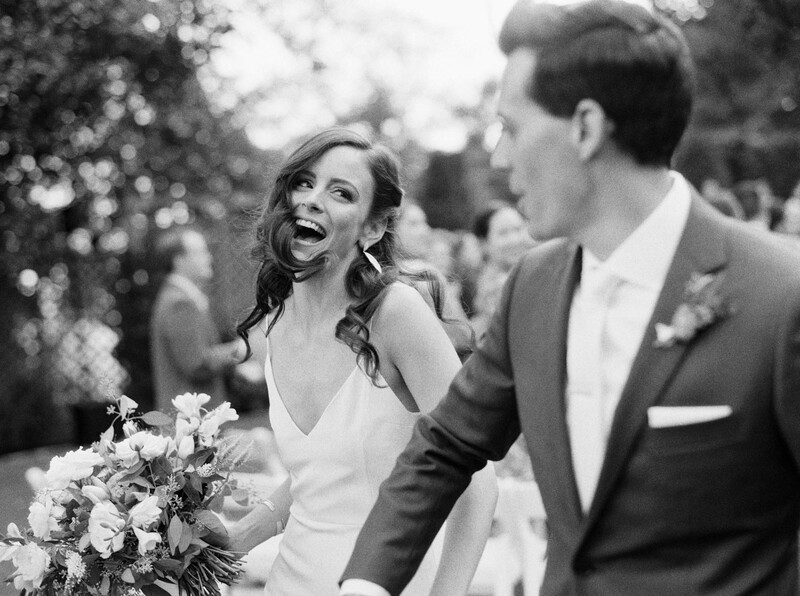 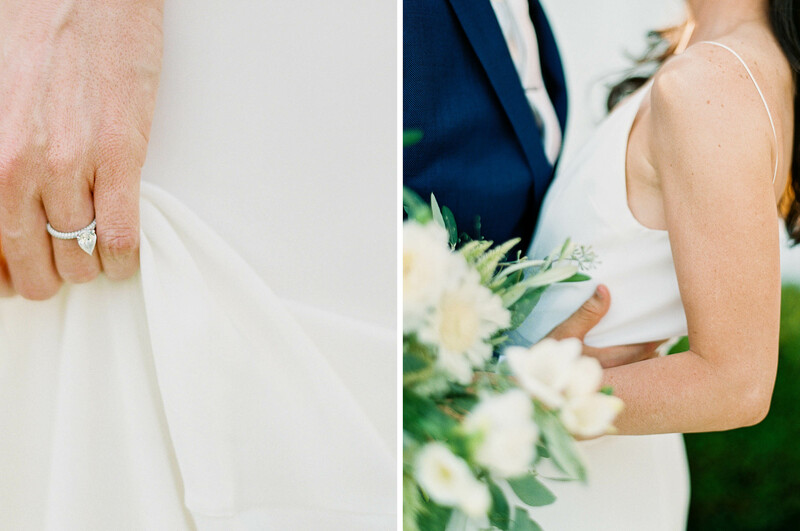 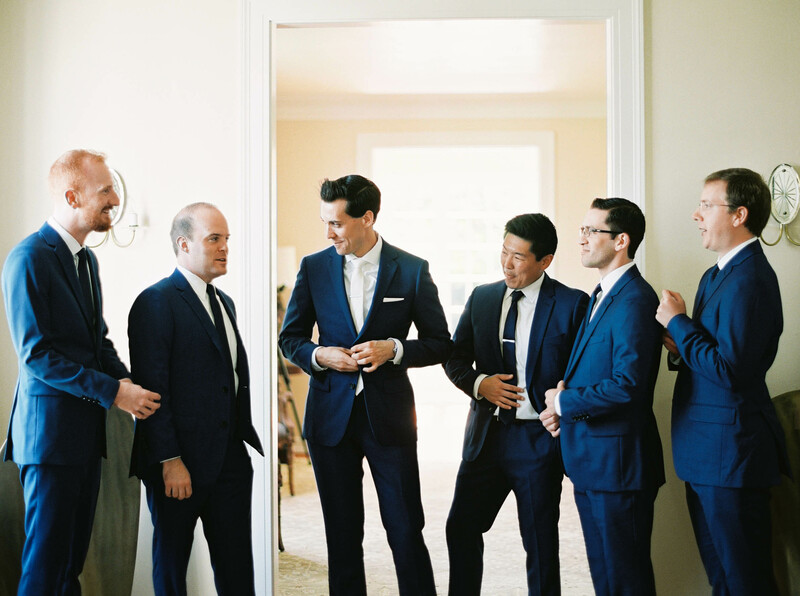 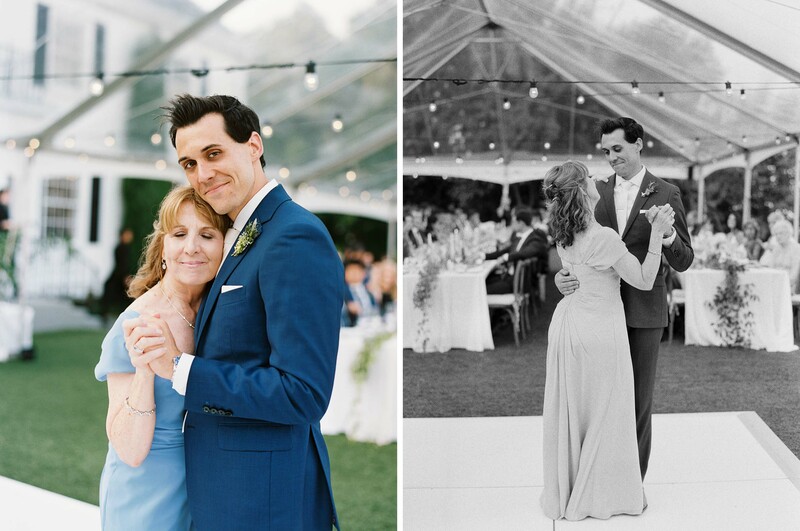 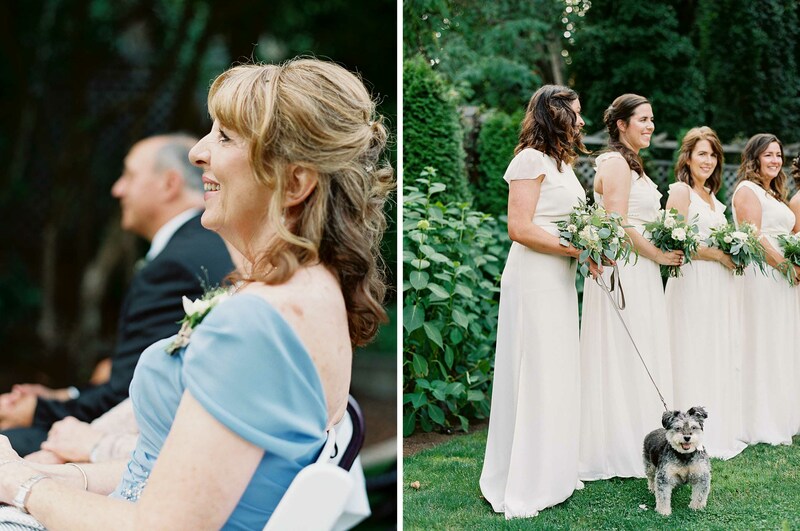 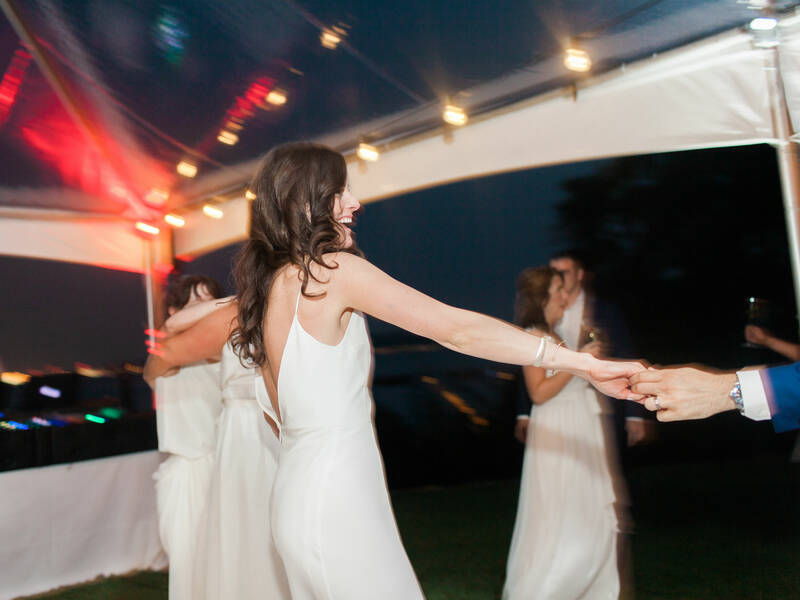 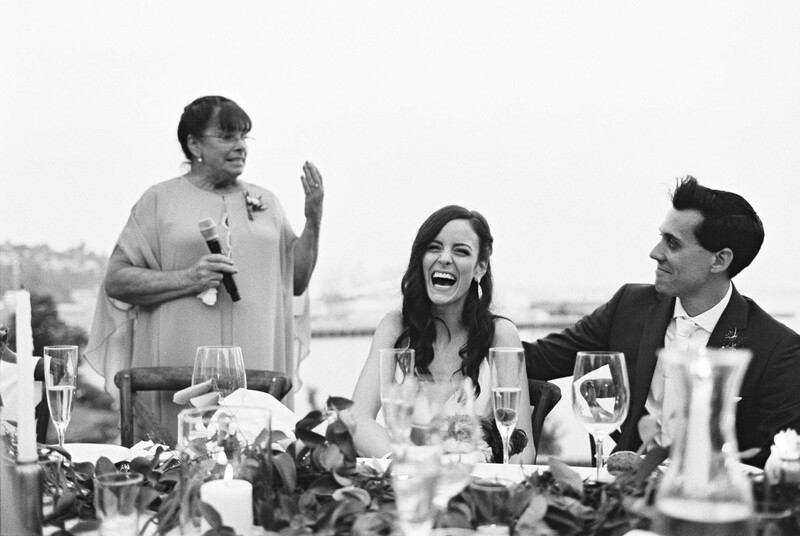 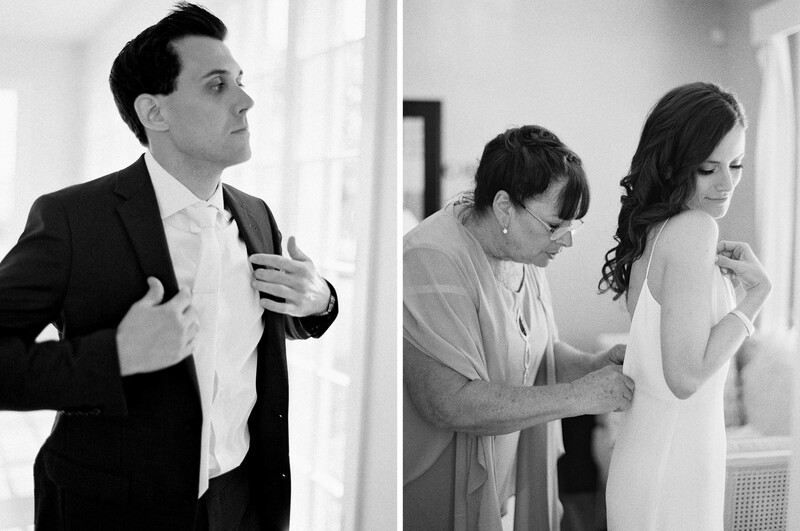 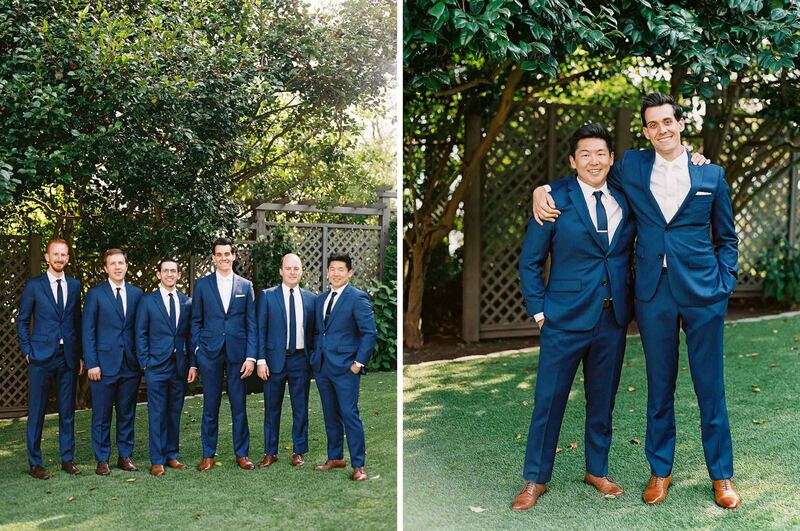 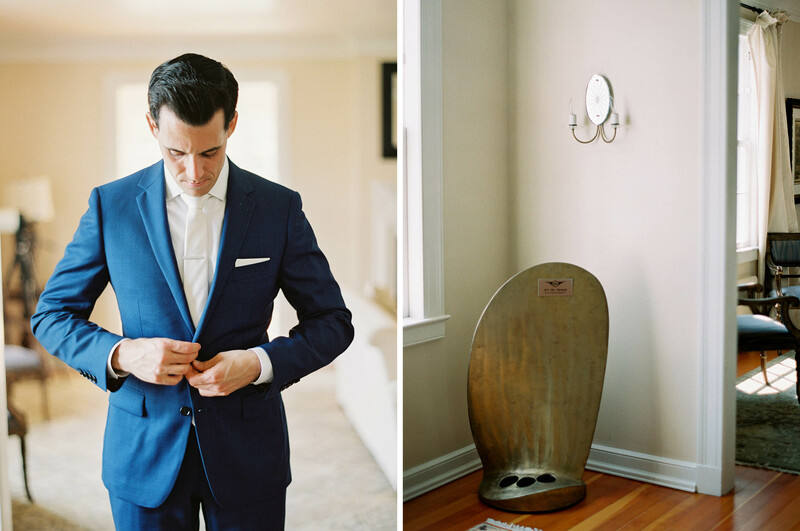 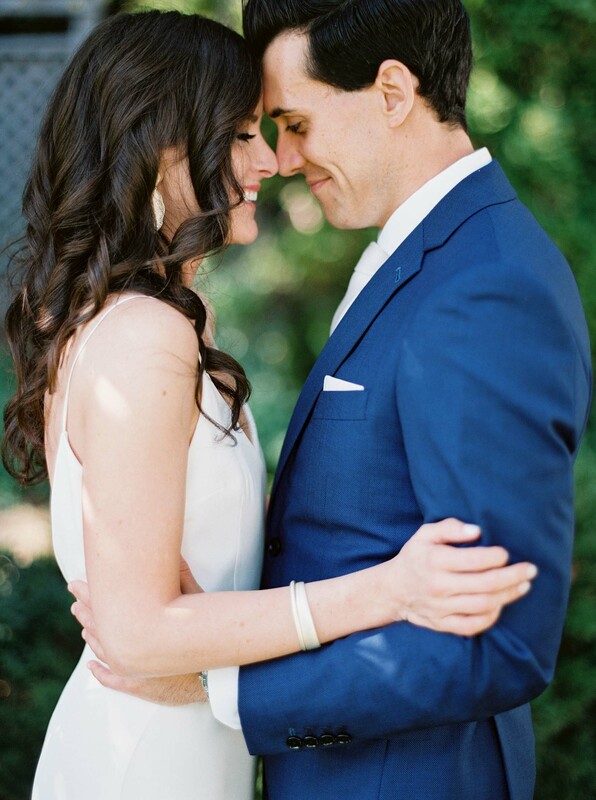 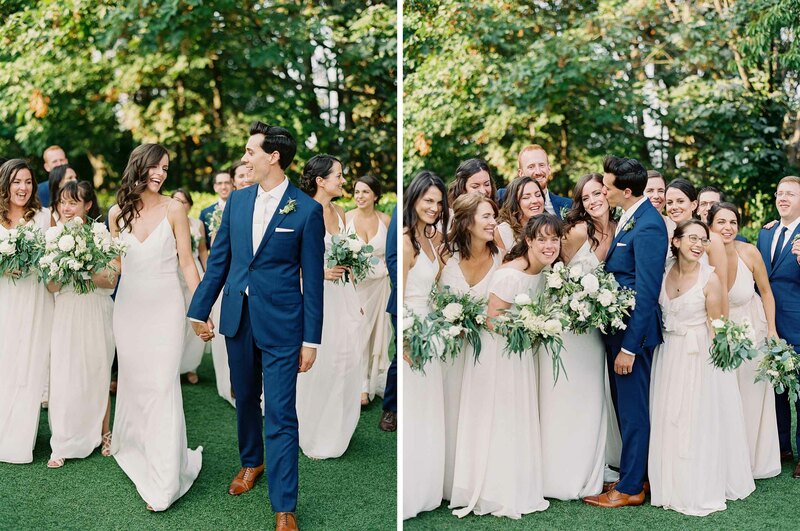 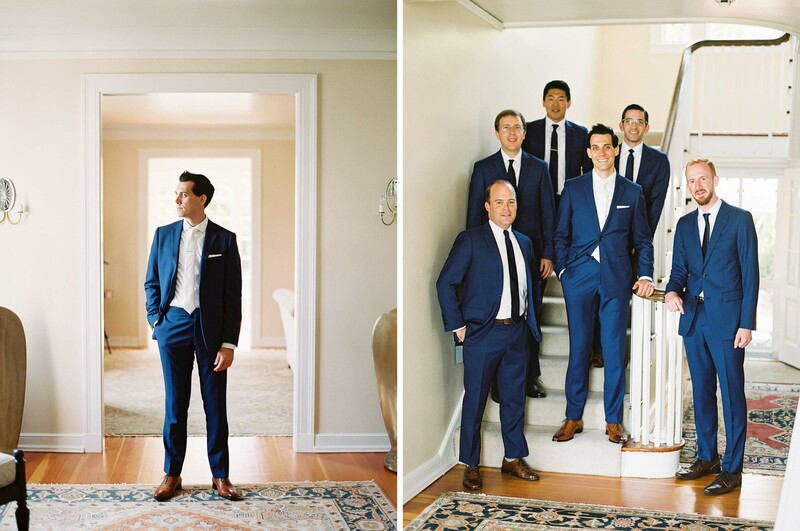 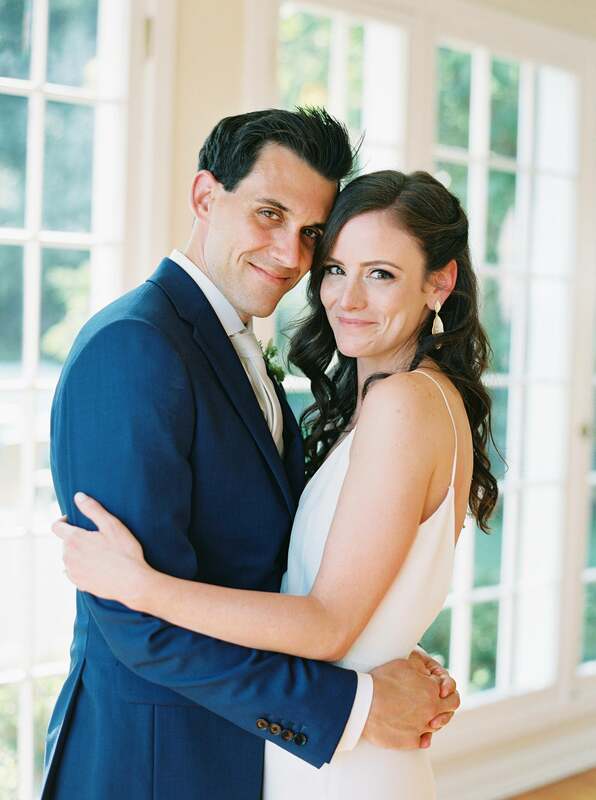 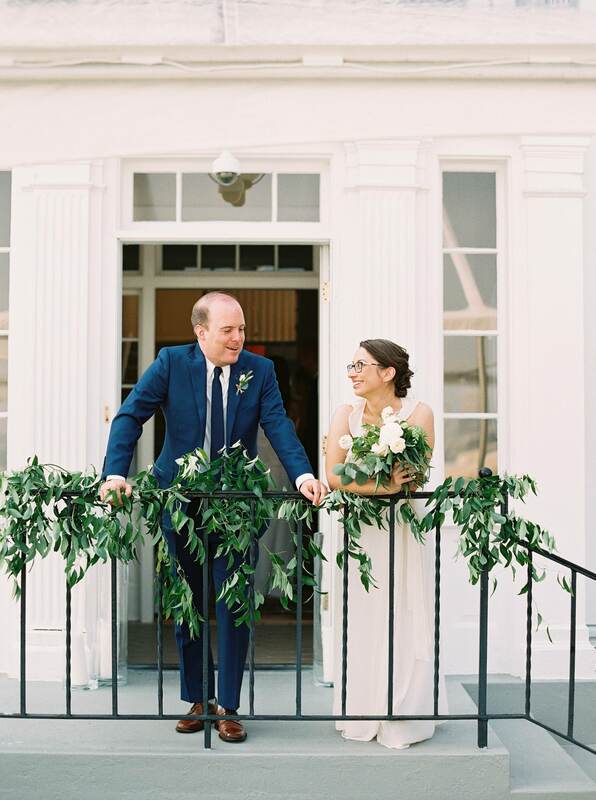 After a decade-long romance, Frank and Maggie’s wedding celebration took place at the historic Admiral’s House, nestled along the water in Seattle’s Magnolia neighborhood, with views of the sound and the city skyline. 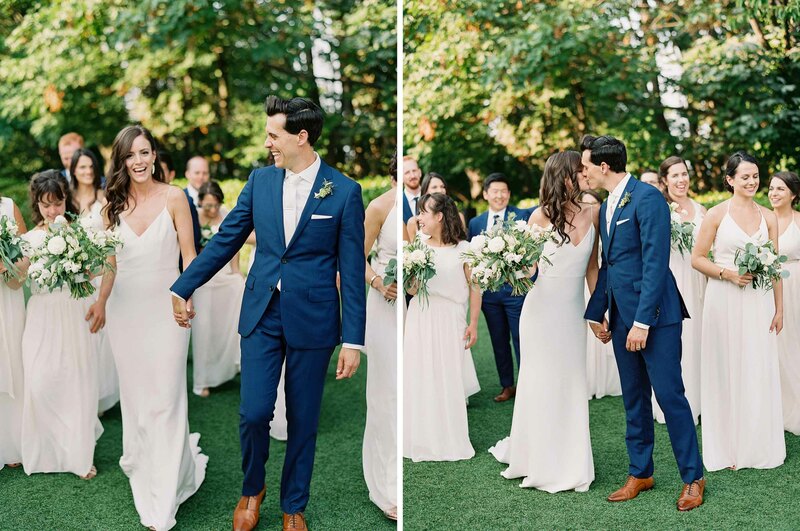 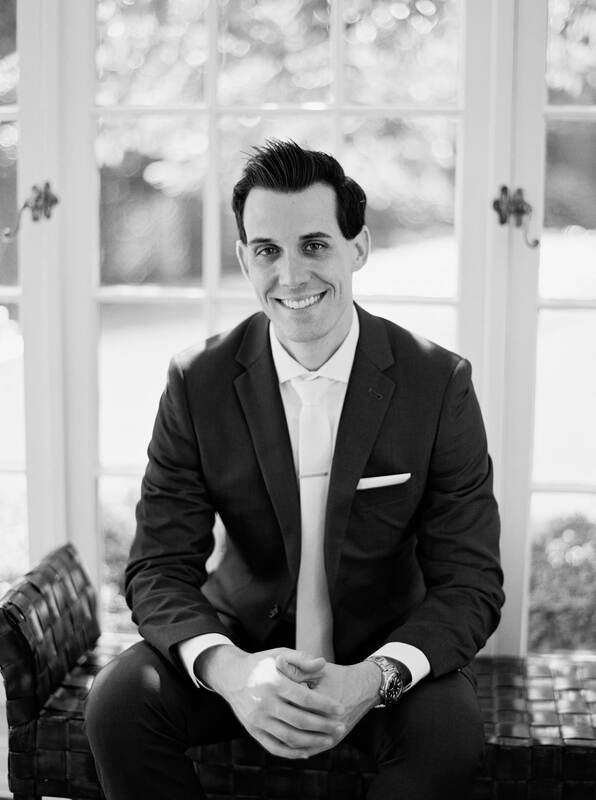 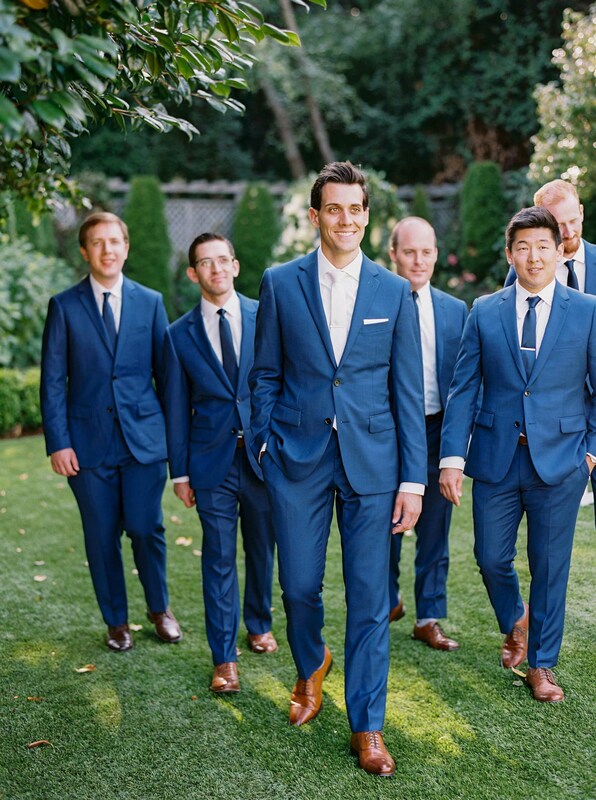 What began as a destination wedding for the D.C. based couple changed when Frank and Maggie made the move to Seattle at the end of 2017! 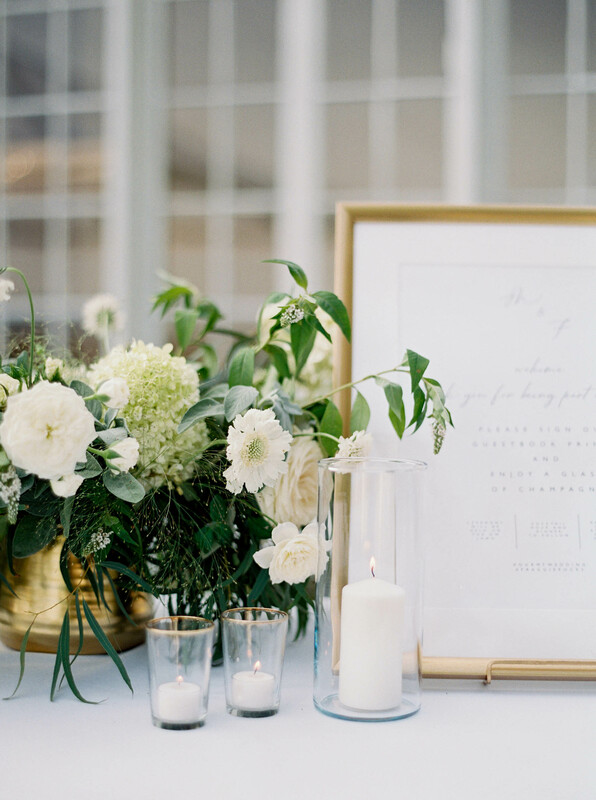 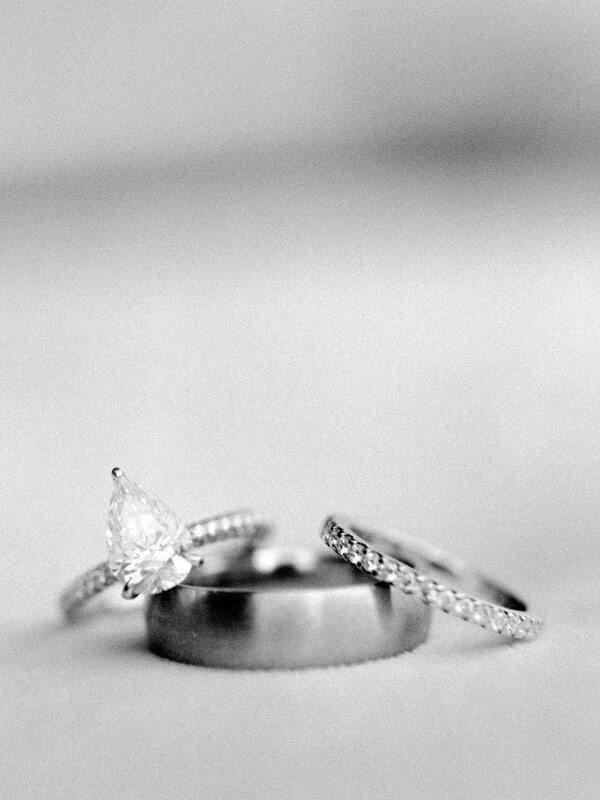 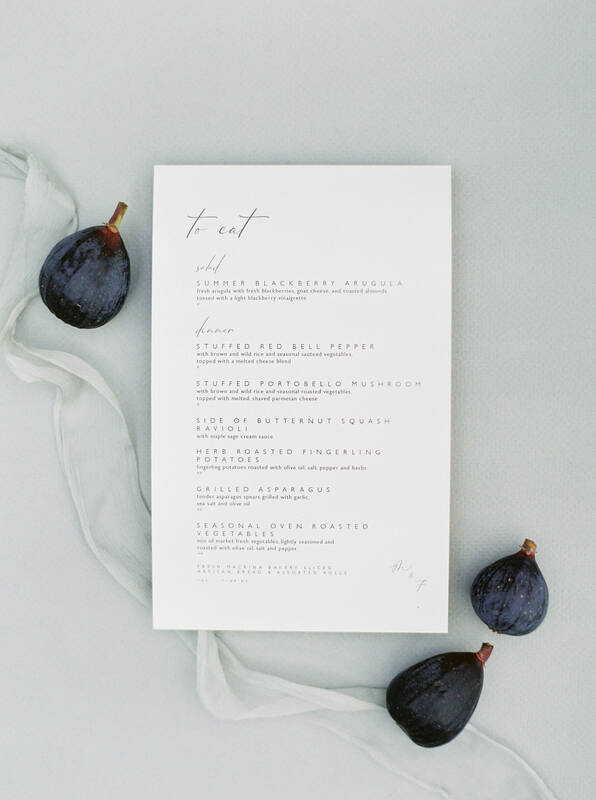 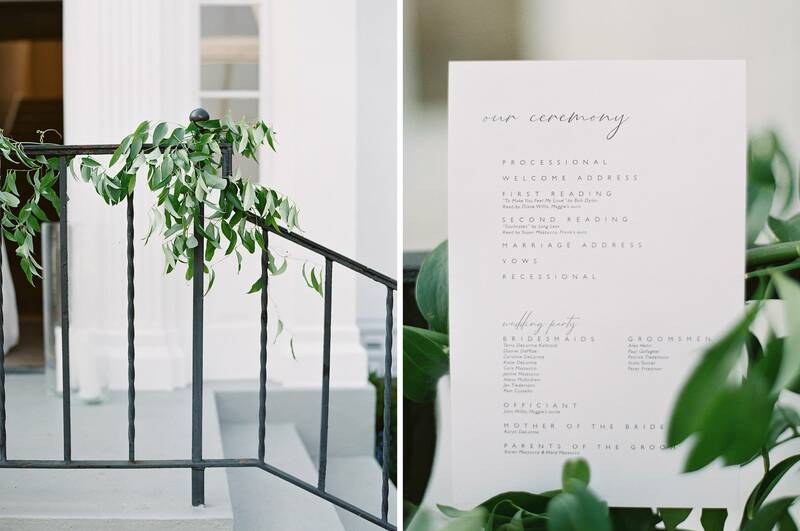 Their wedding design, created and executed by Cozbi Jean, was a balance of classic elegance, and fresh modern elements, incorporating both gold and silver for a unique mixed metal look. 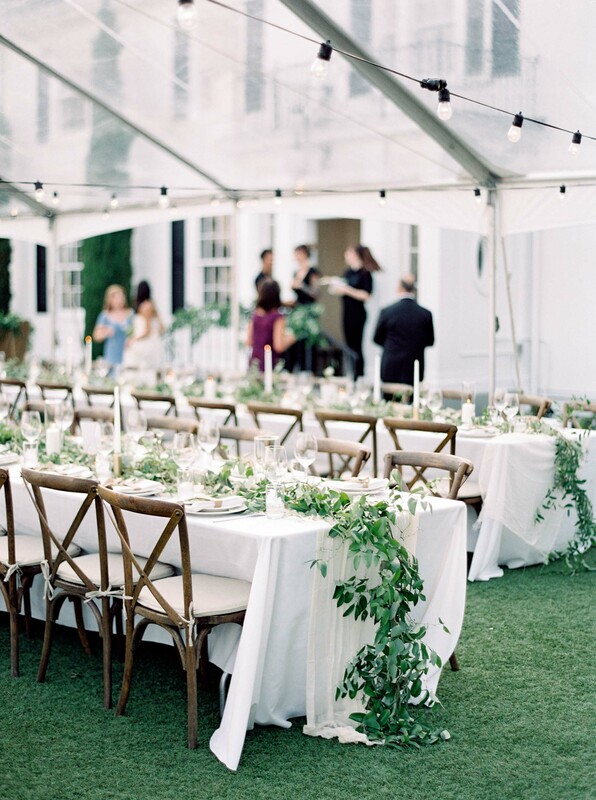 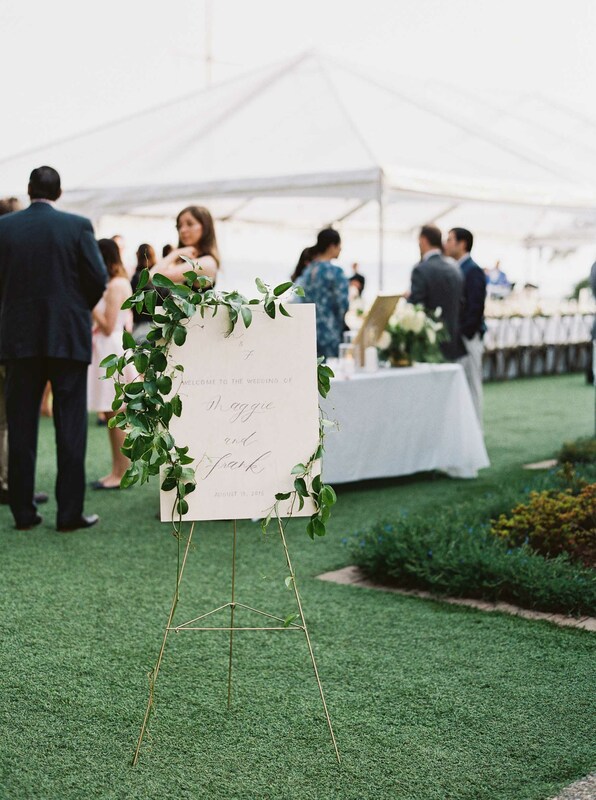 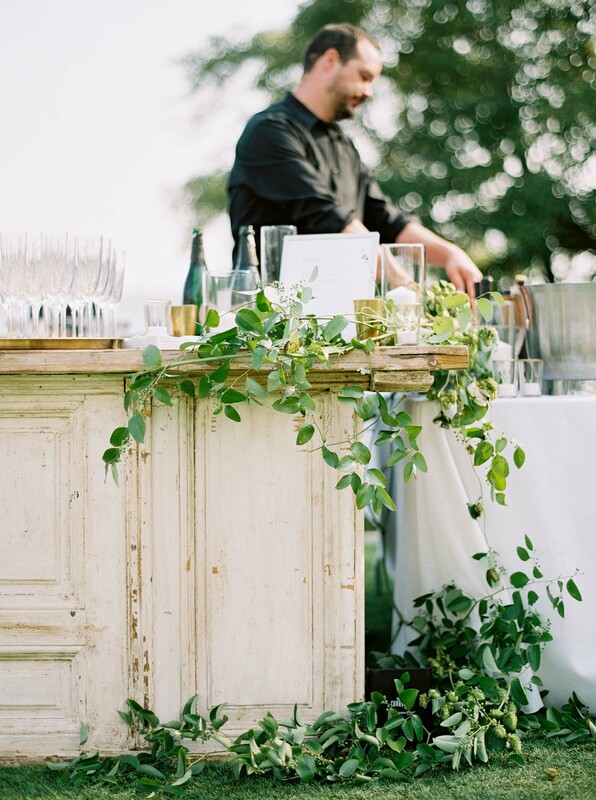 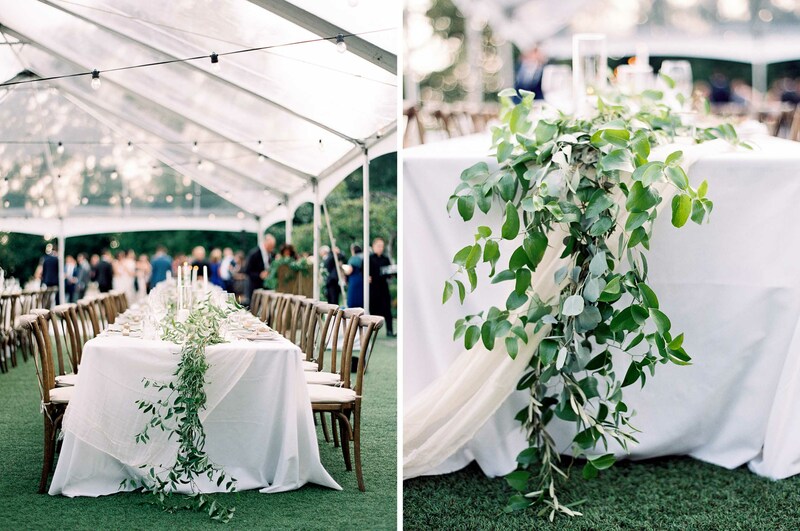 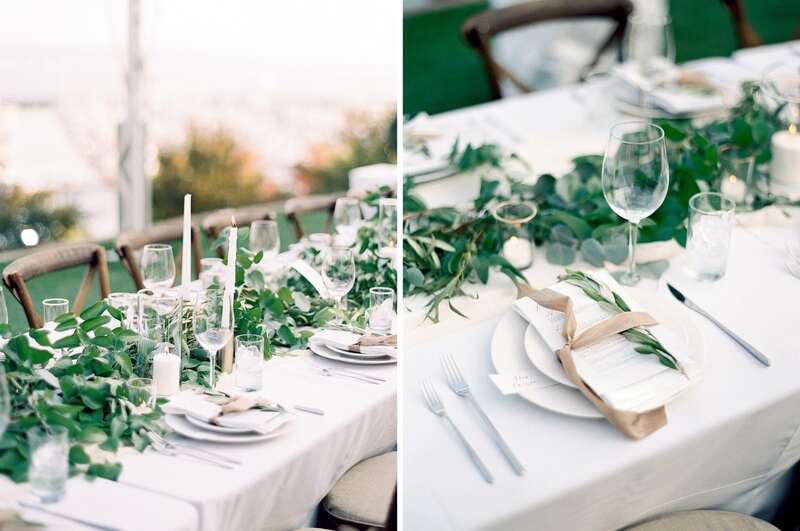 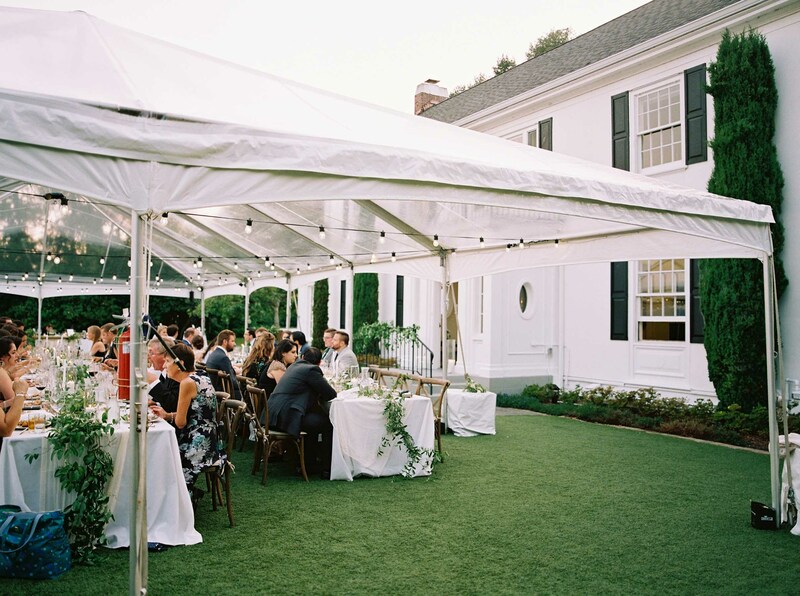 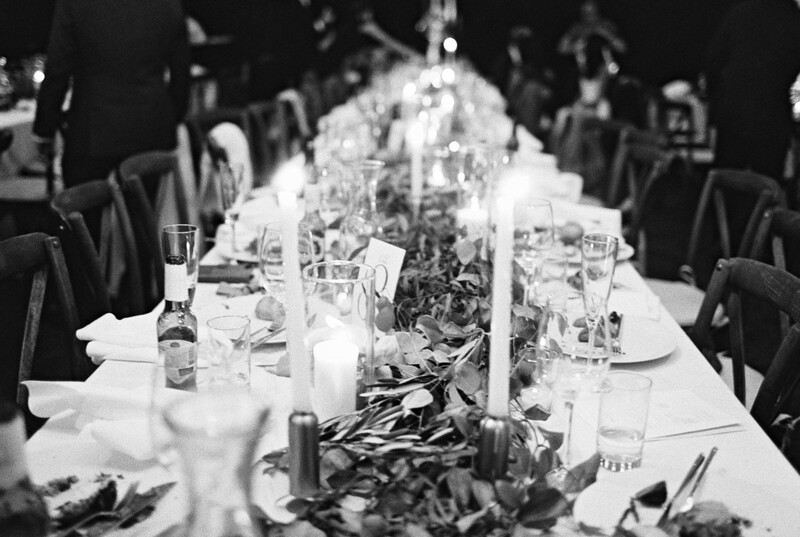 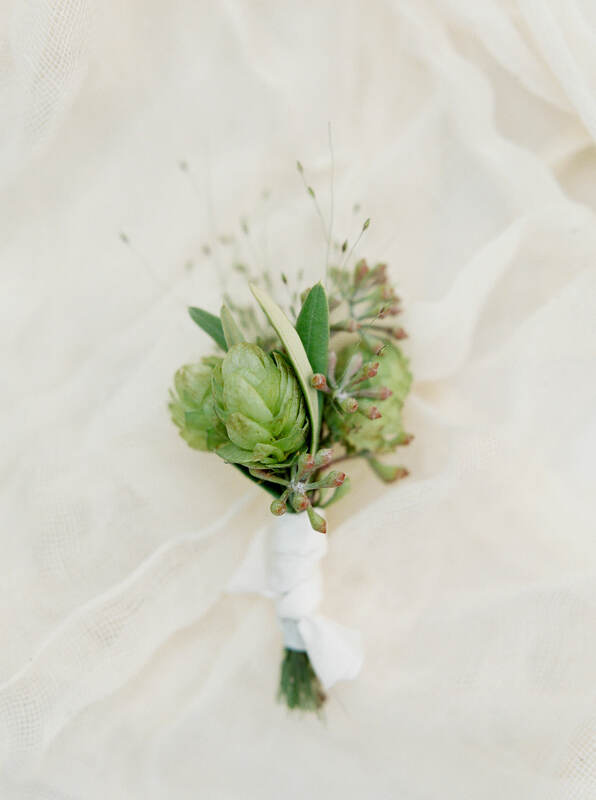 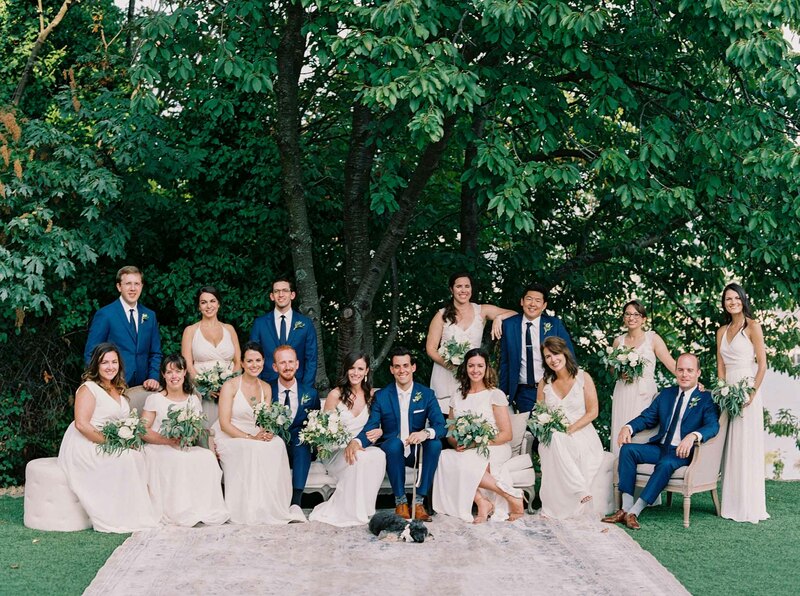 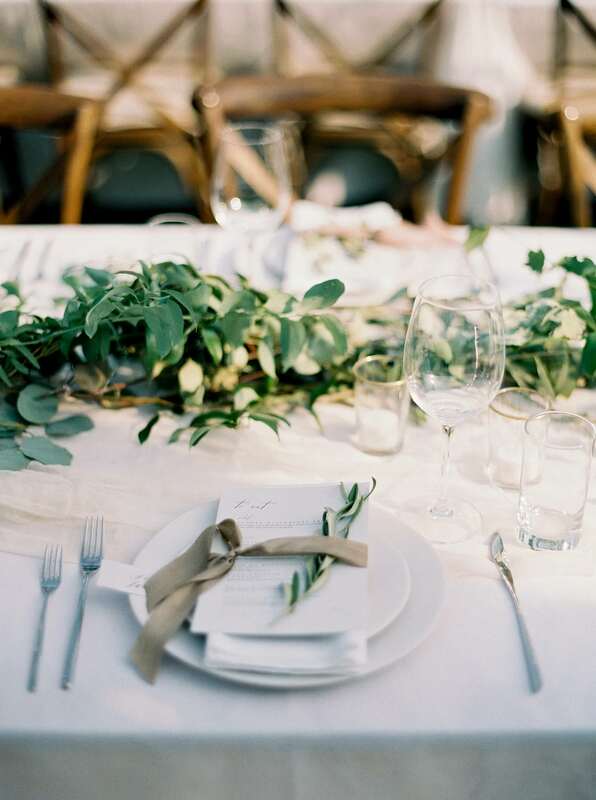 Family style tables were accented with natural cheesecloth runners and greenery garlands, while the bar was adorned with delicate greenery that included hops. 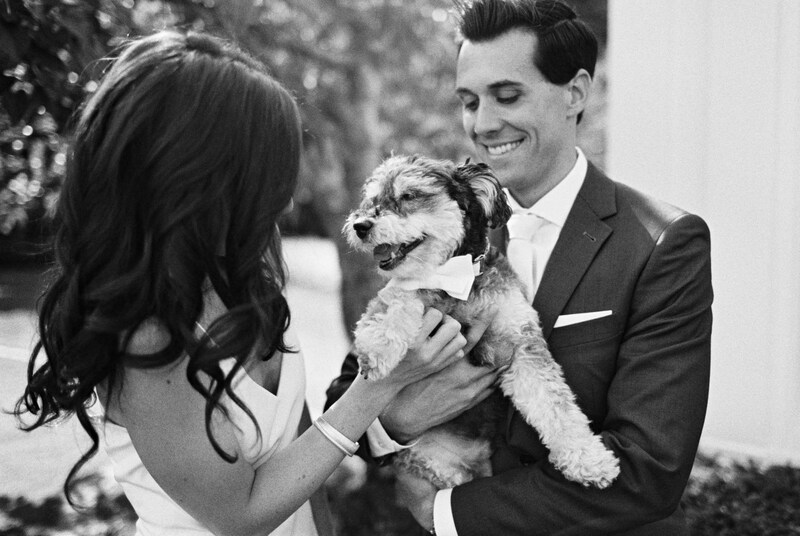 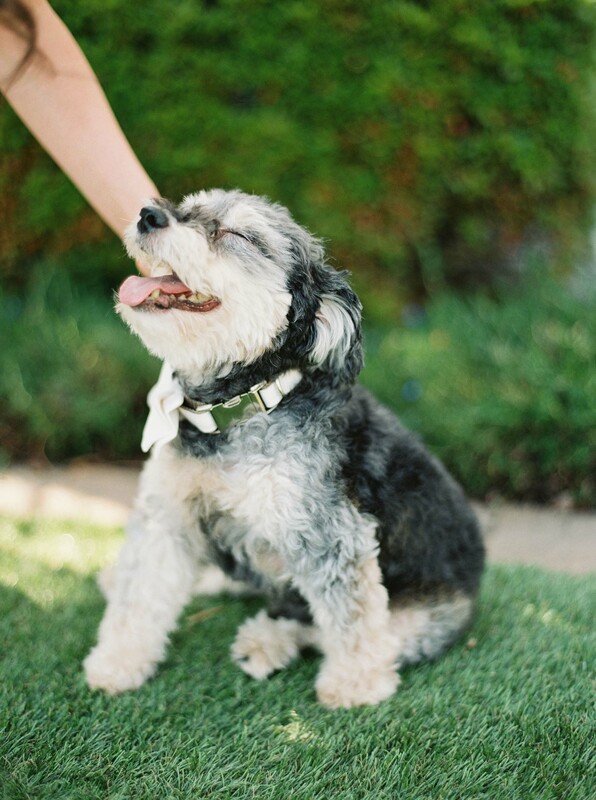 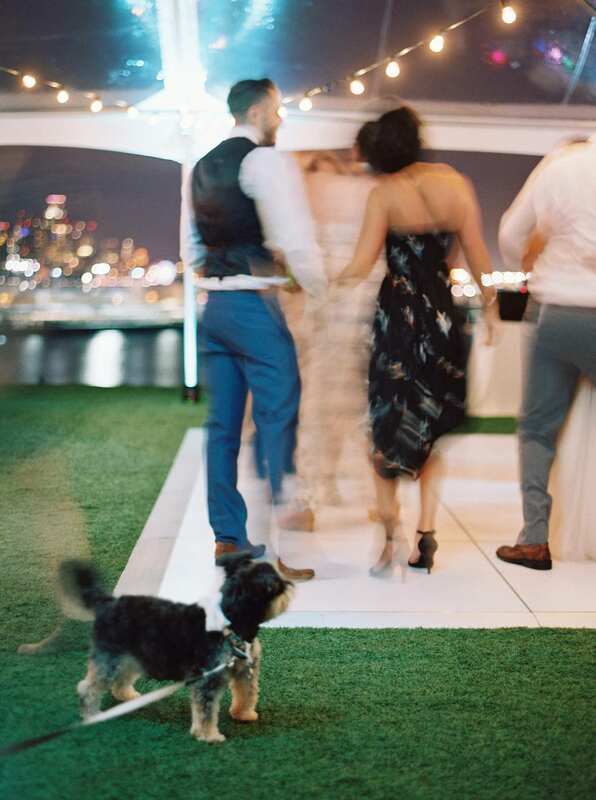 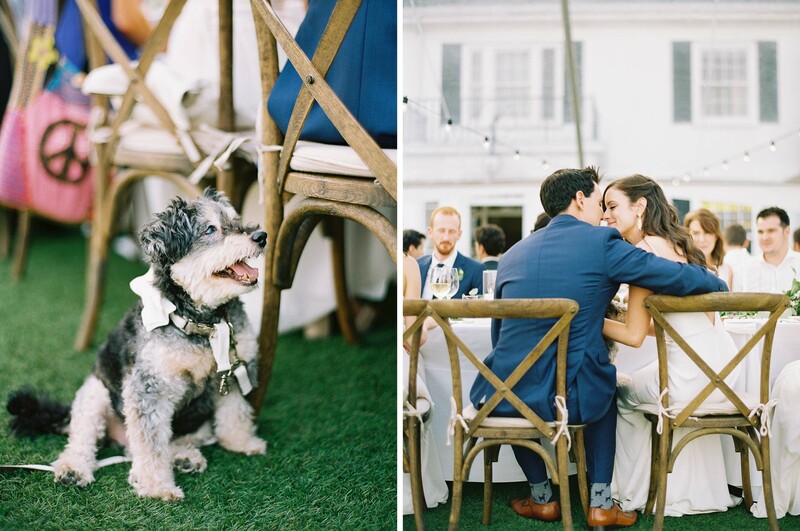 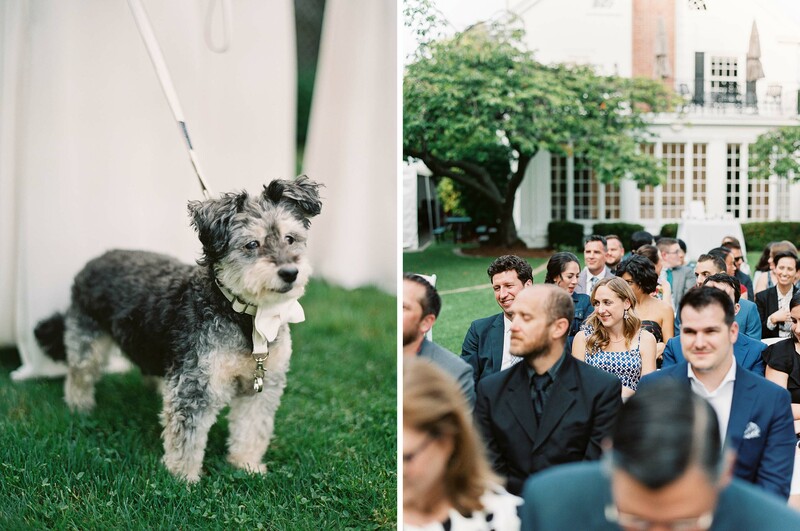 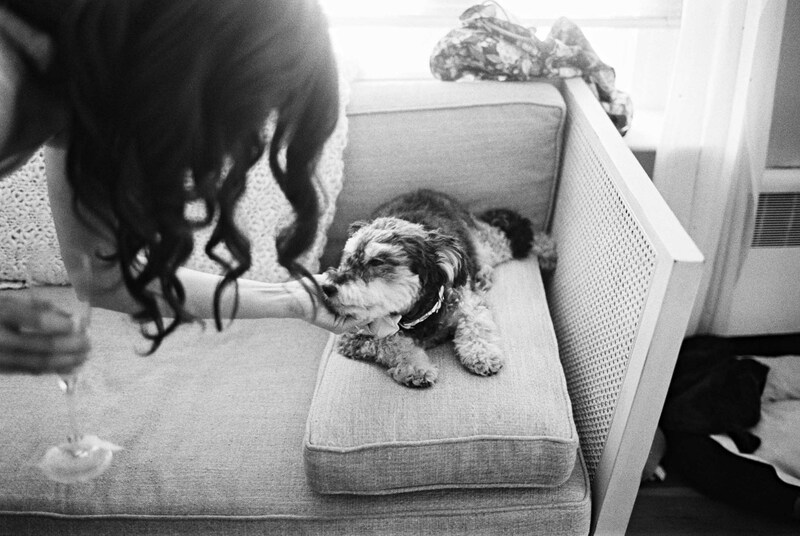 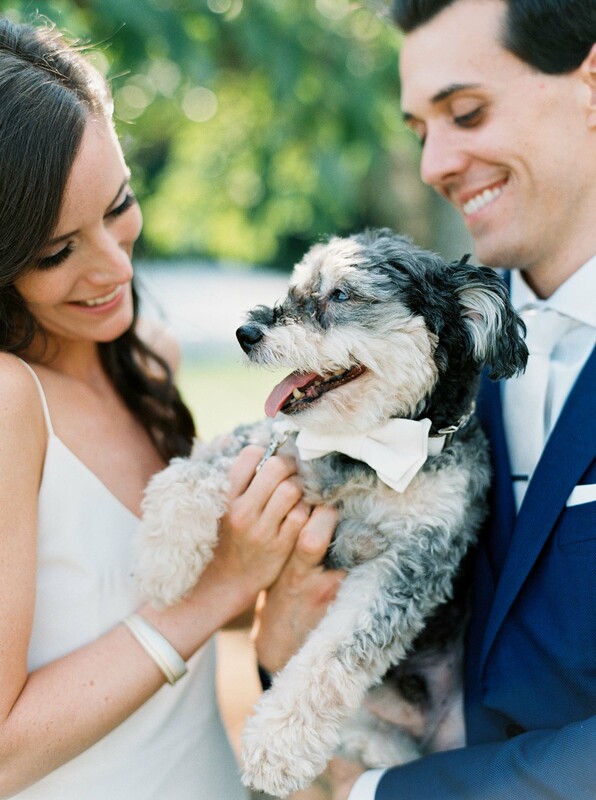 The couple’s beloved dog Toto joined in on the celebration, acting as the ring bearer during the ceremony. 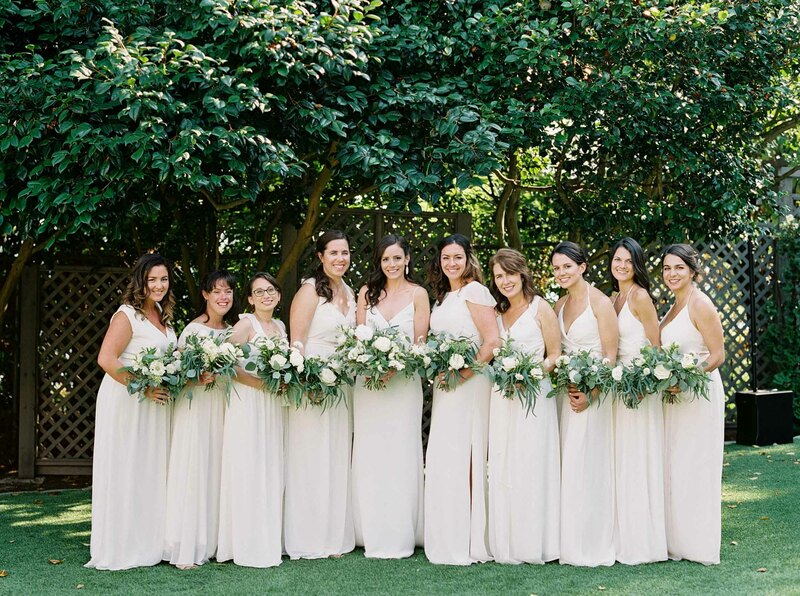 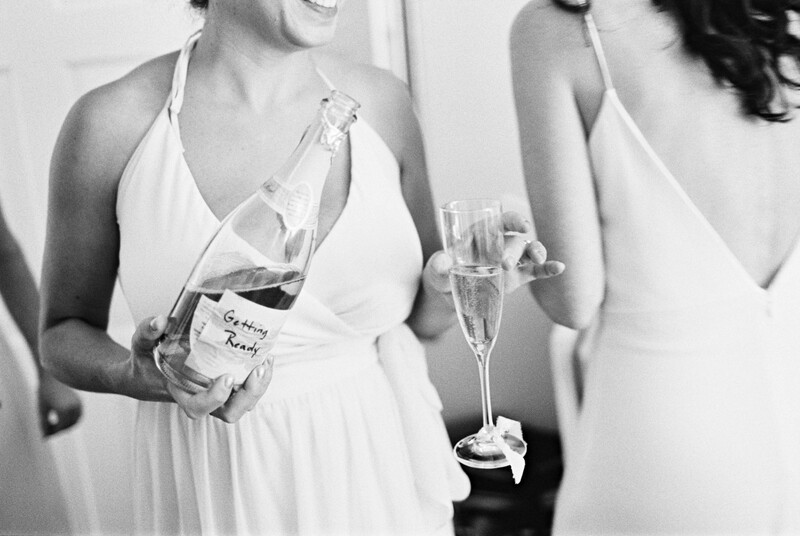 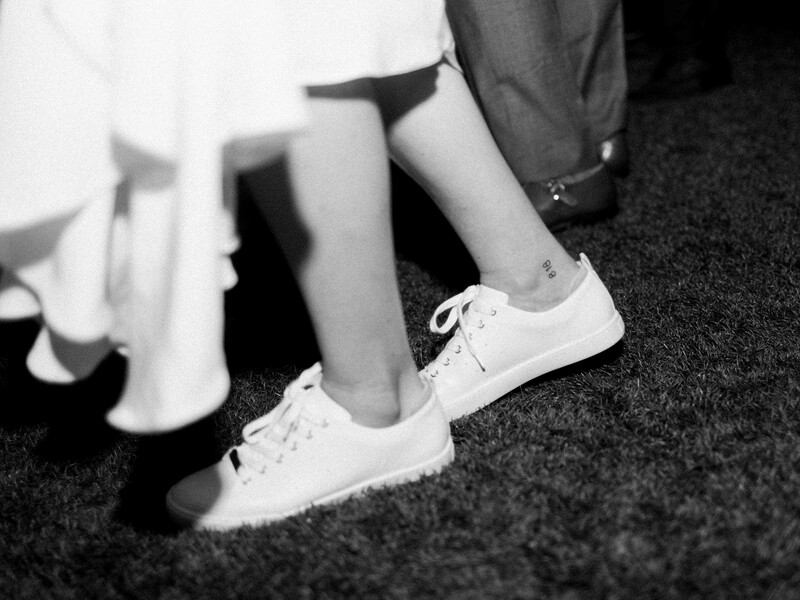 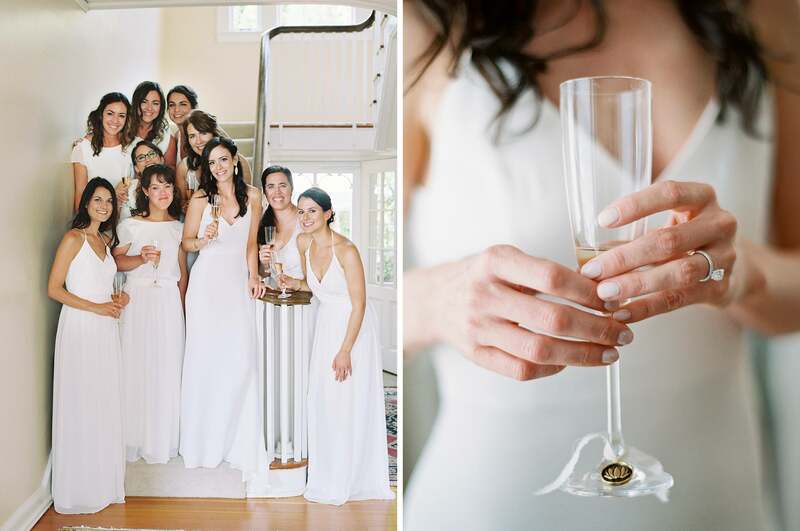 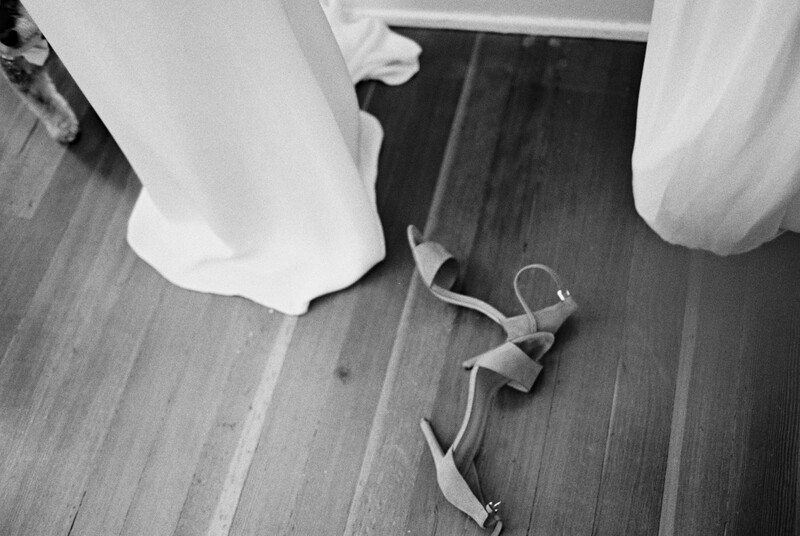 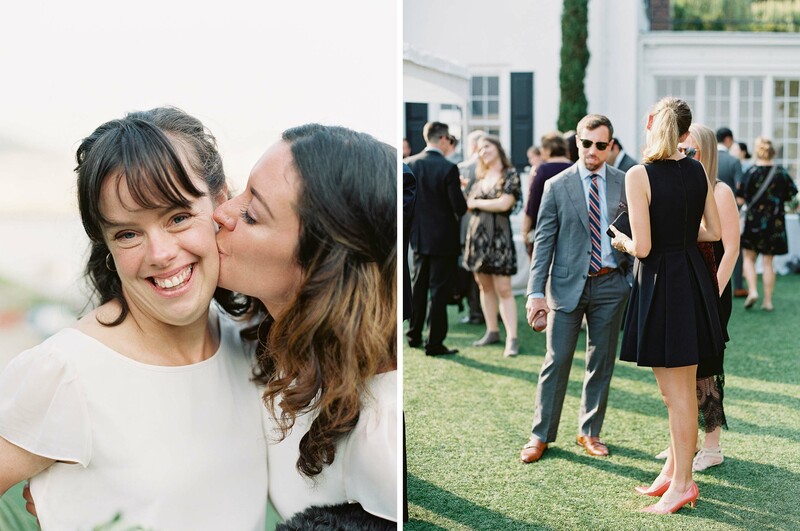 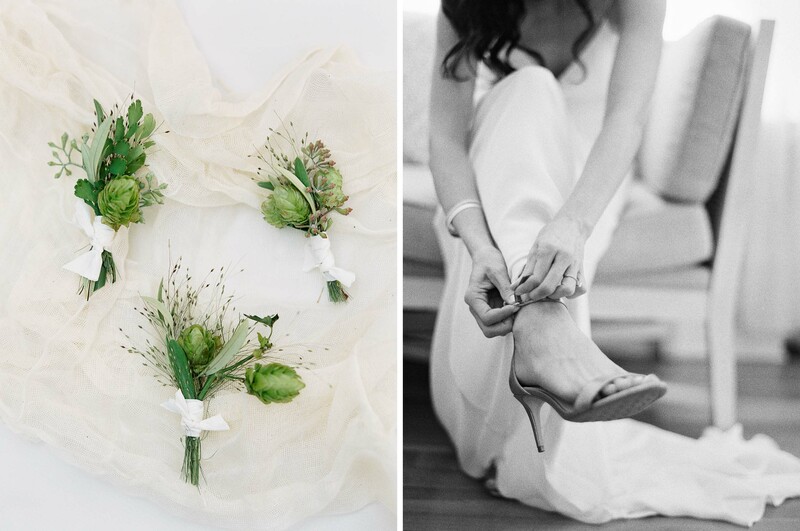 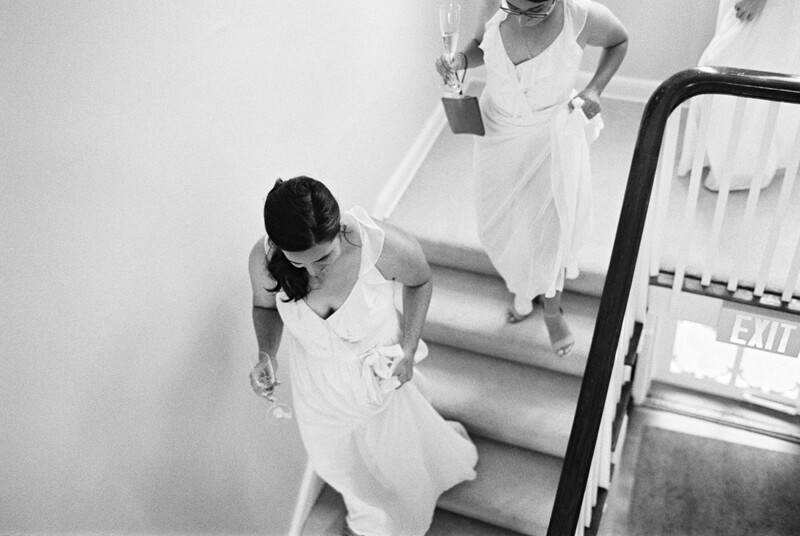 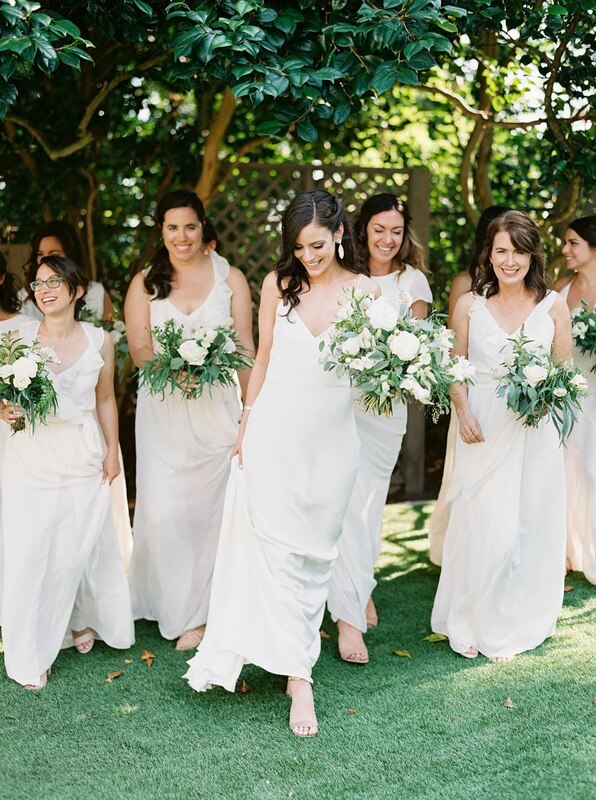 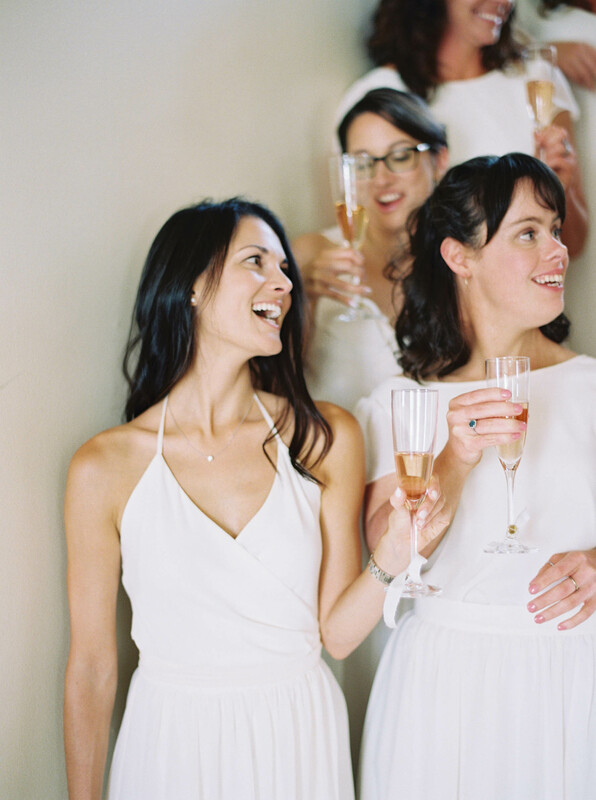 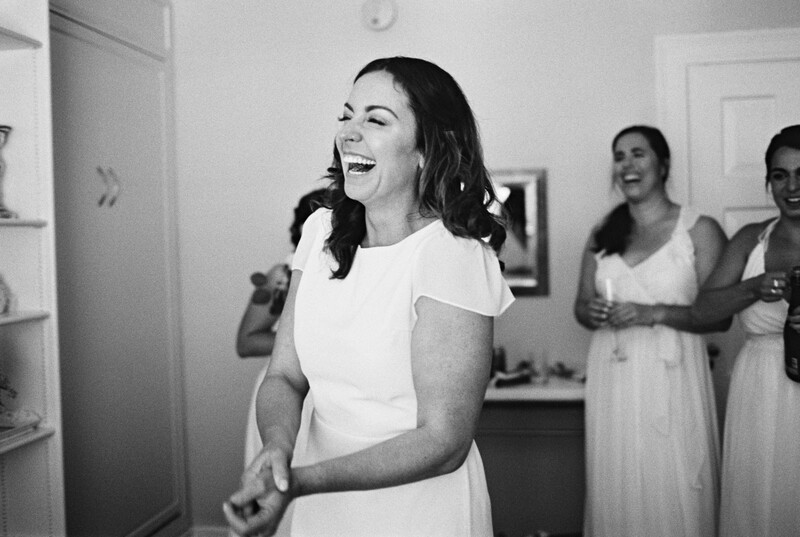 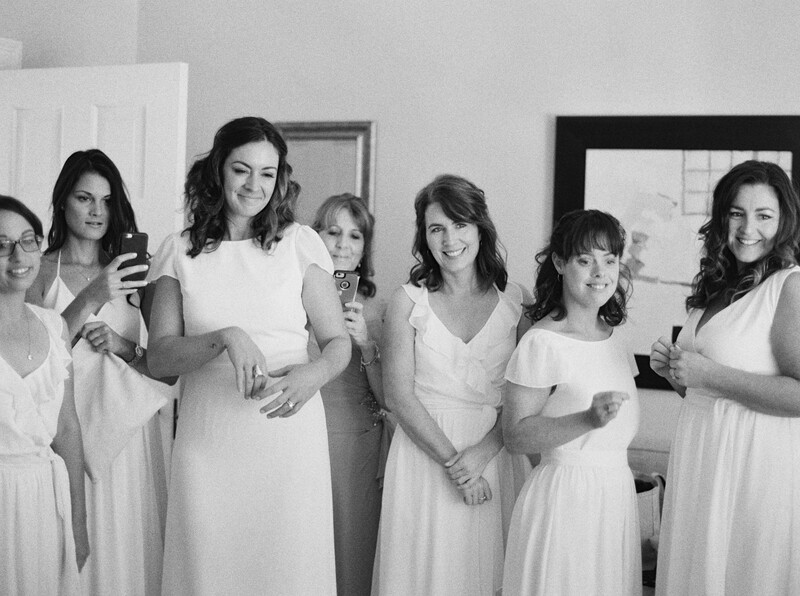 Maggie wore a minimal slip gown from Alexandra Grecco and her bridesmaids donned cream dresses from Joanna August. 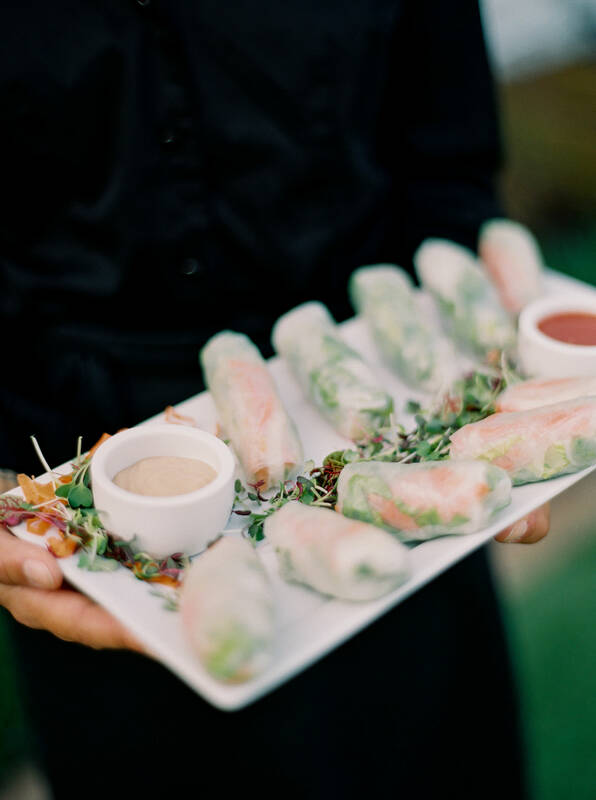 Guests dined on a fully vegetarian feast from 12 baskets catering, including stuffed bell peppers and spring rolls. 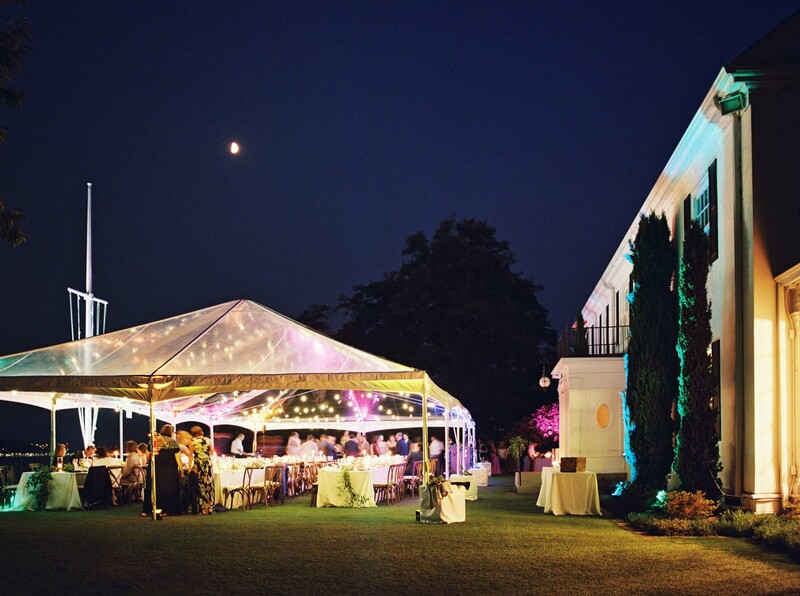 During the late night fun, guests could have a caricature portrait created of their likeness, or snack on a spread of delicious donuts.